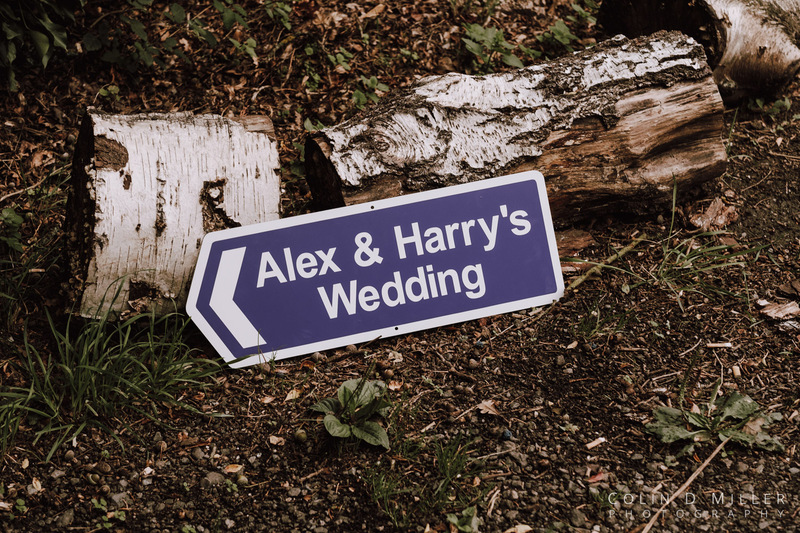 Taking place in the county where I live, it was truly a pleasure to photograph Alex and Harry’s wedding. 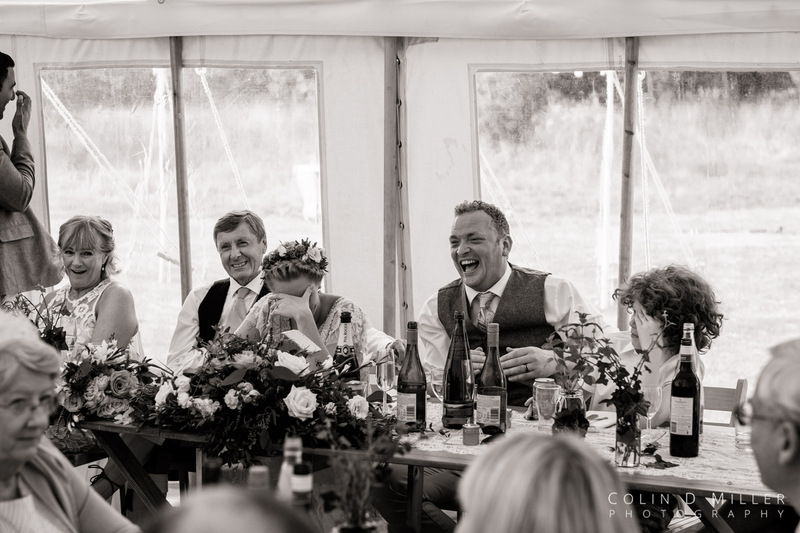 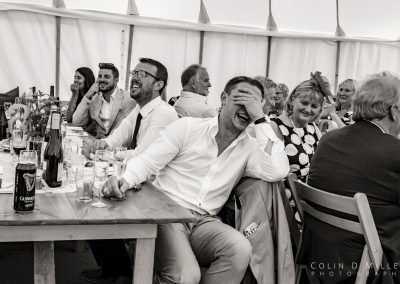 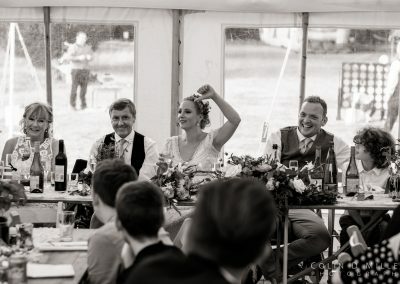 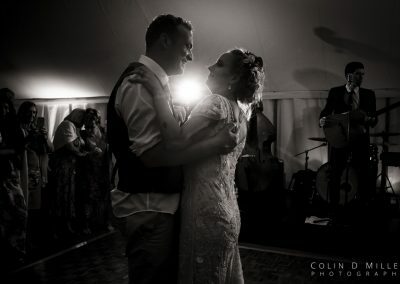 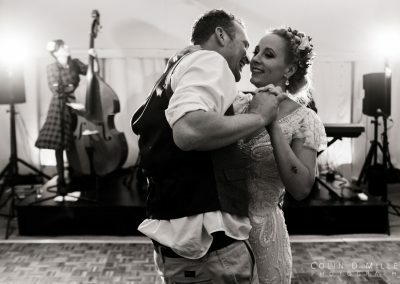 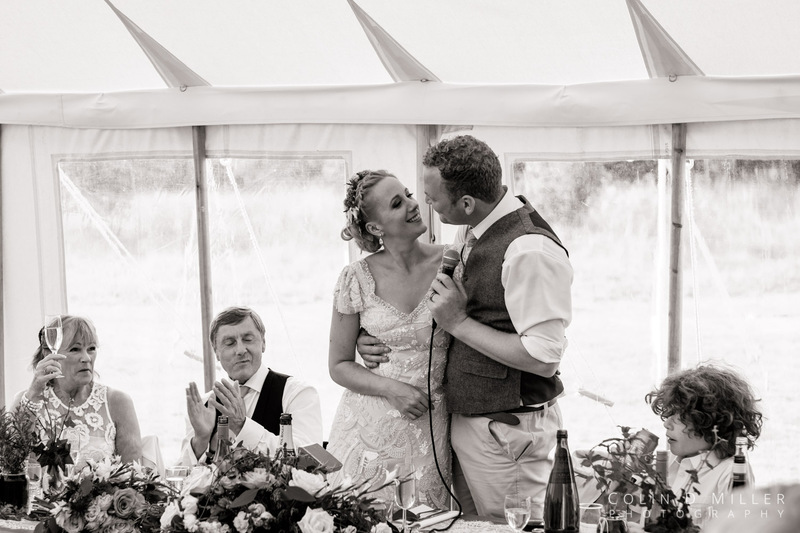 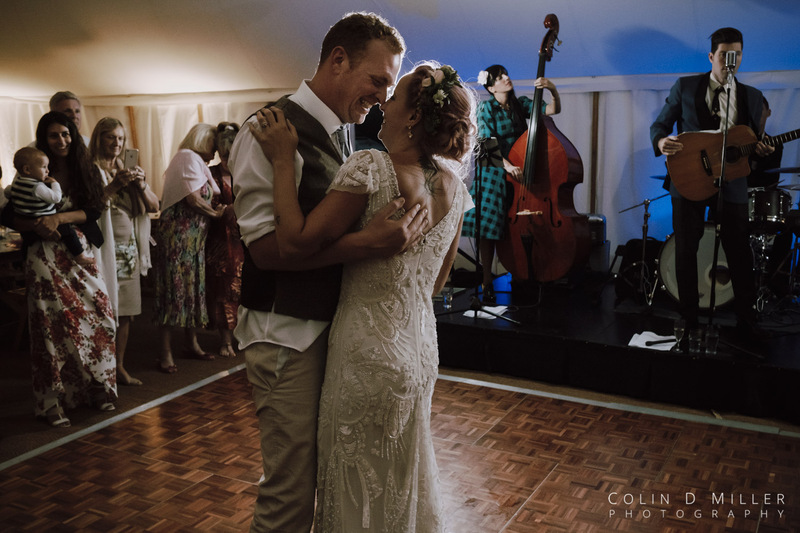 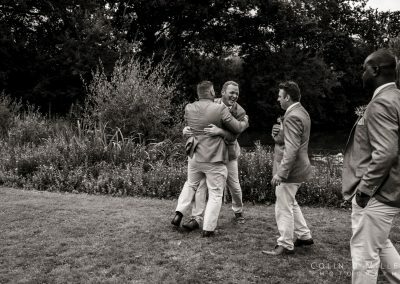 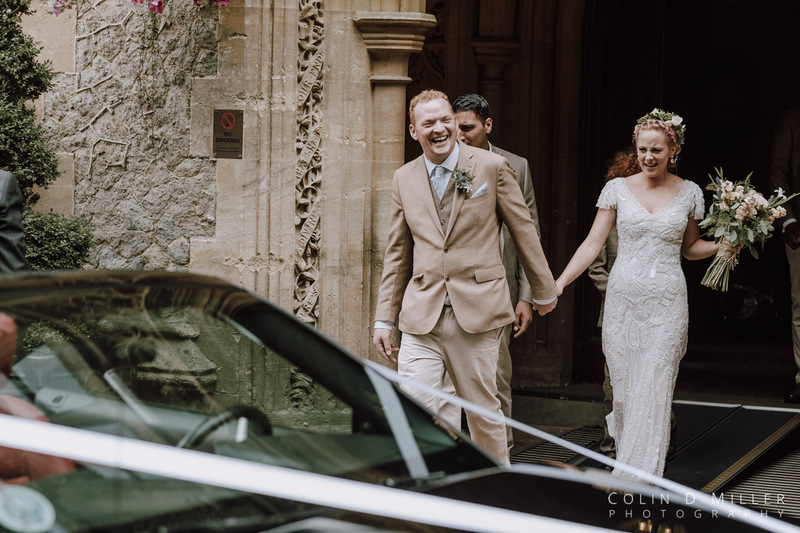 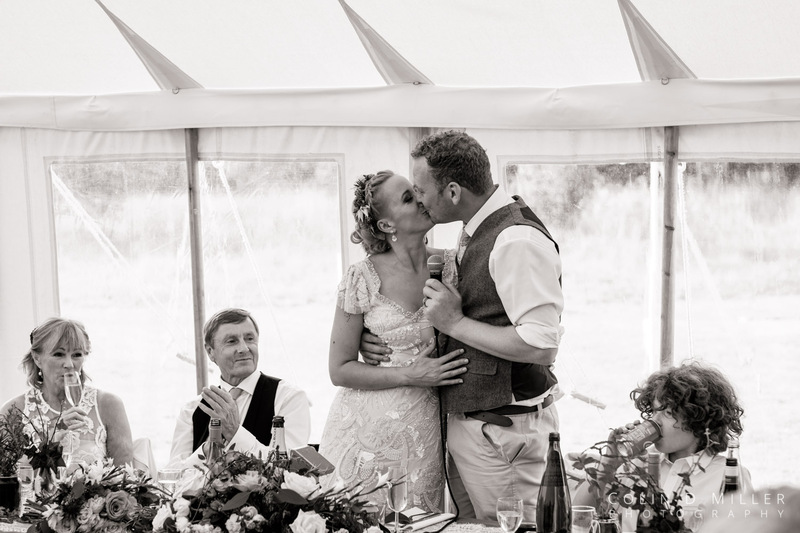 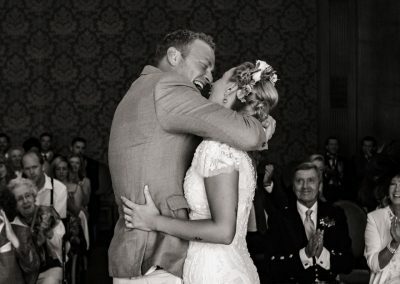 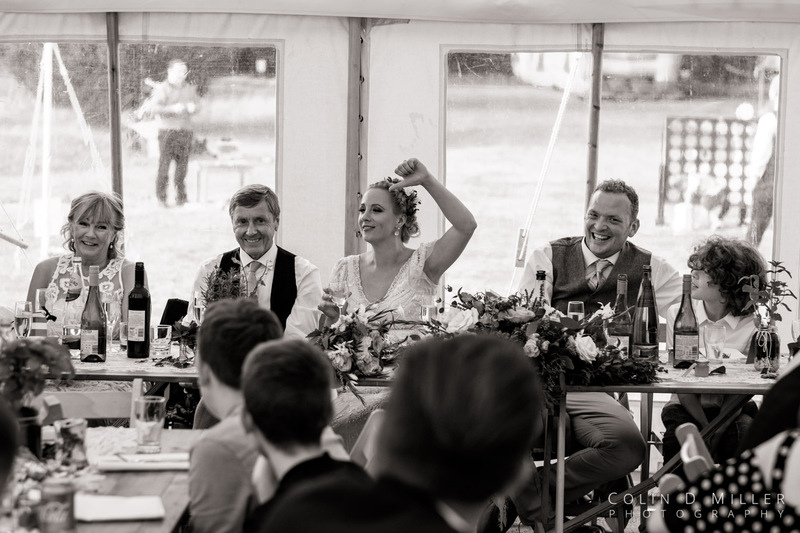 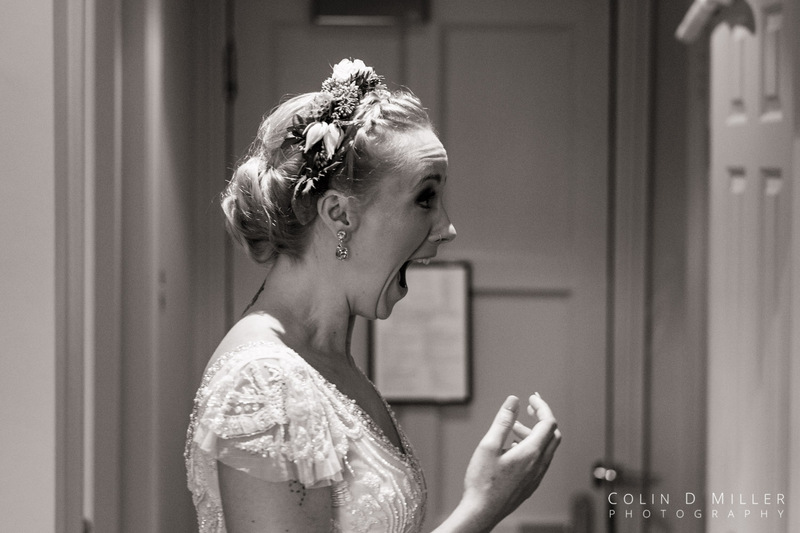 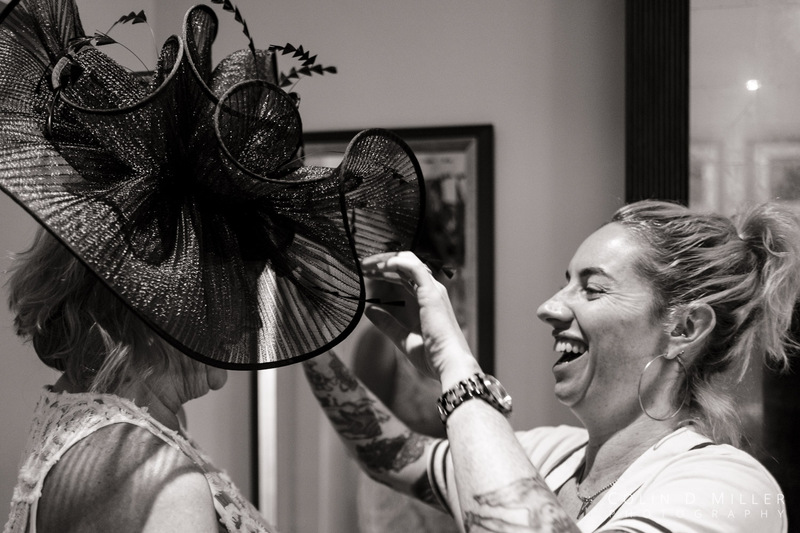 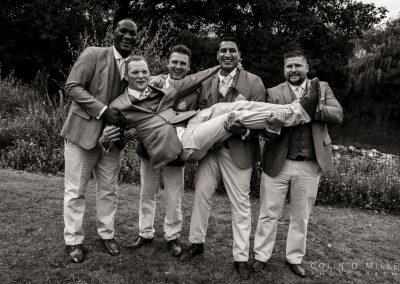 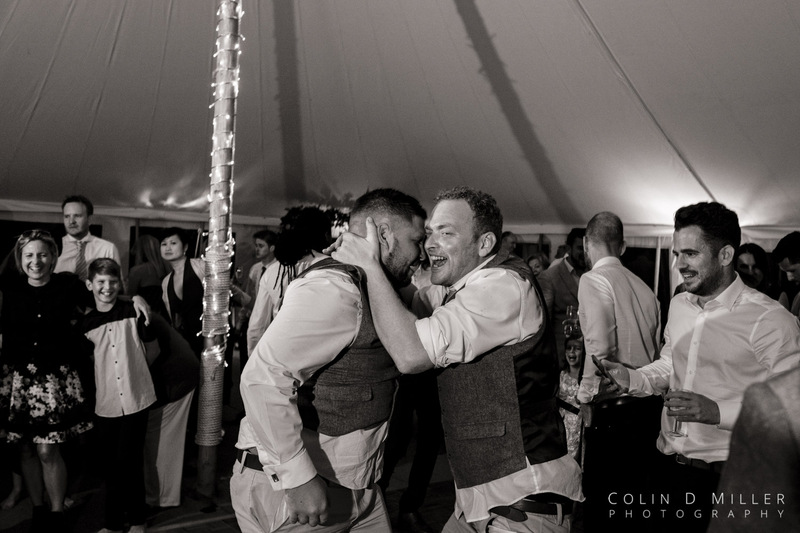 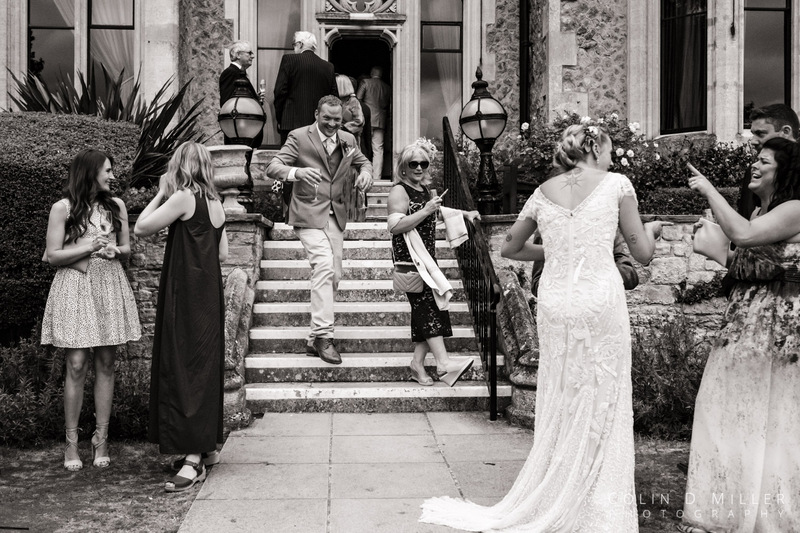 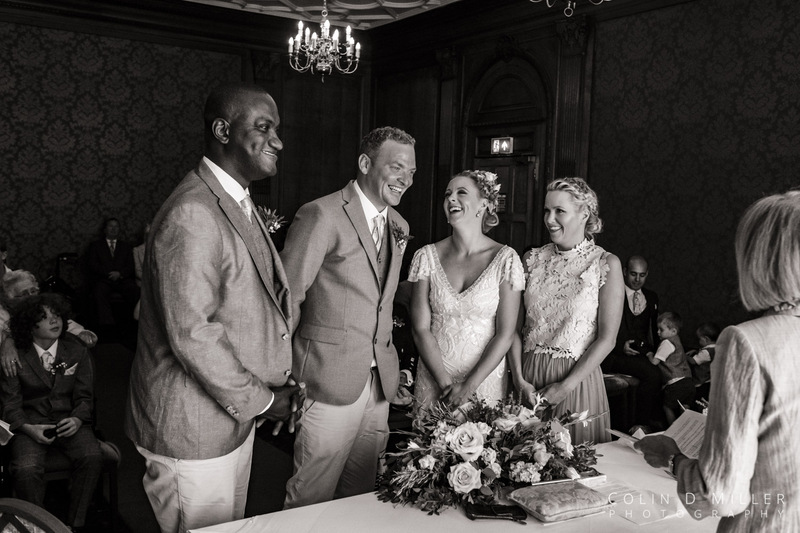 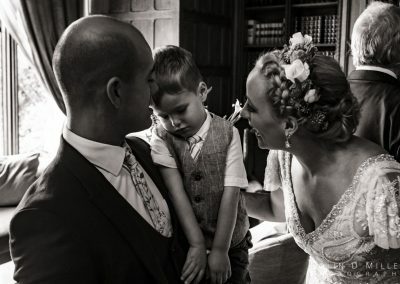 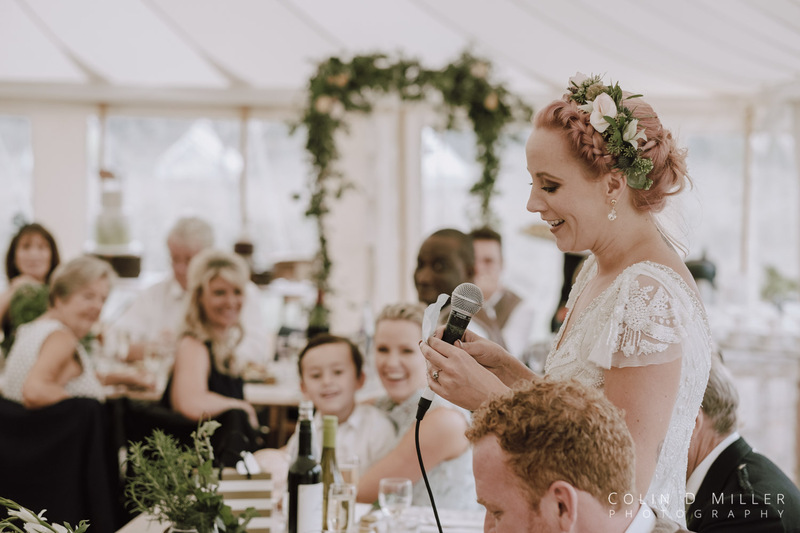 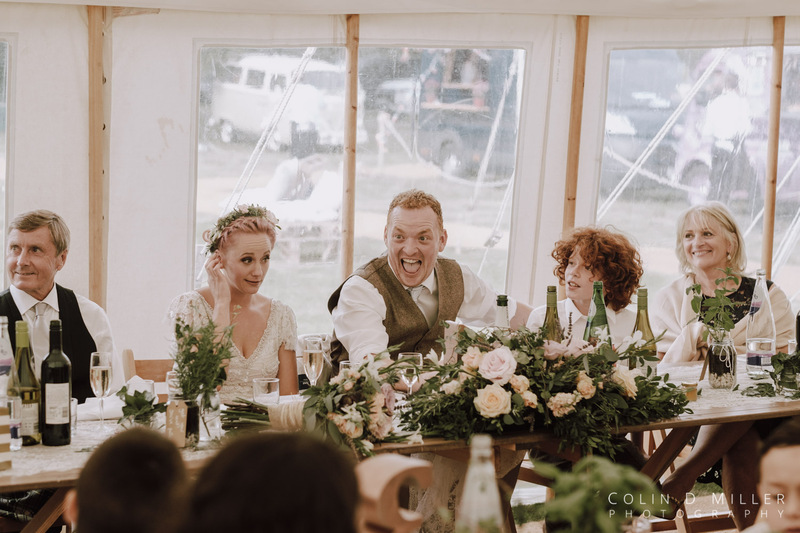 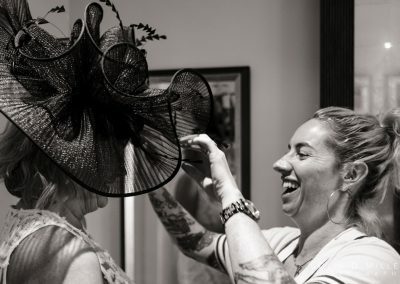 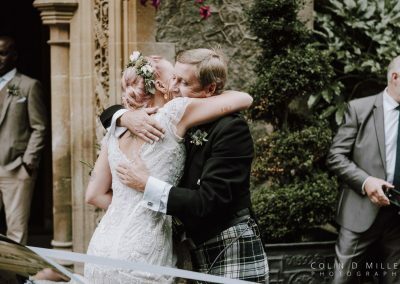 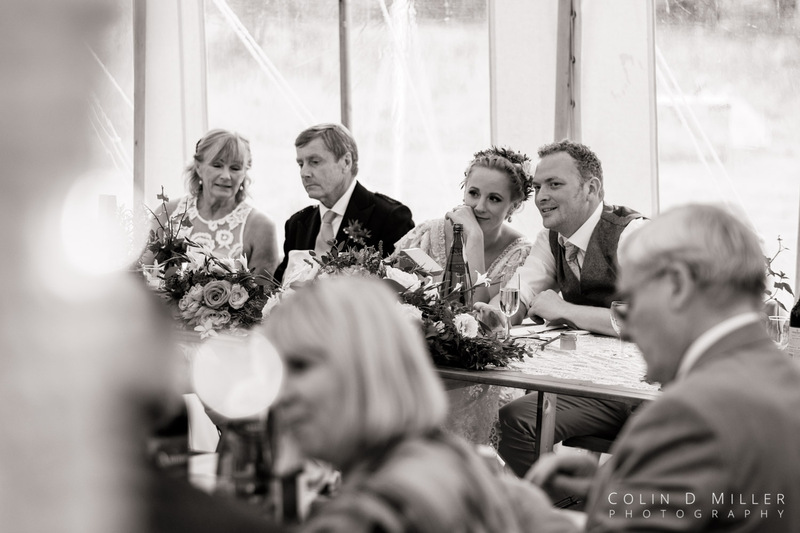 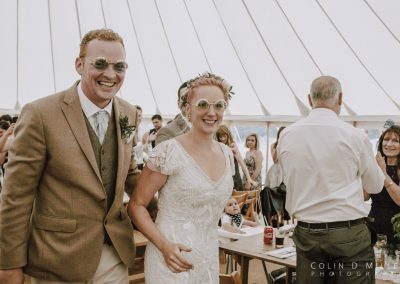 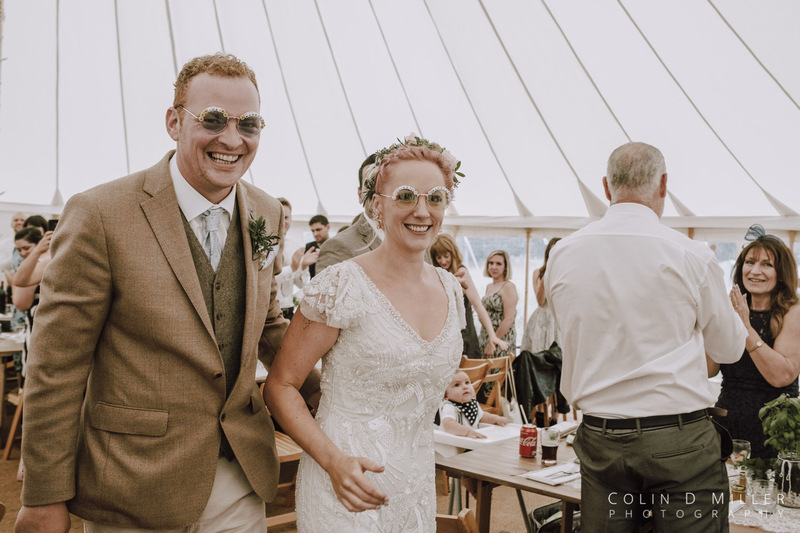 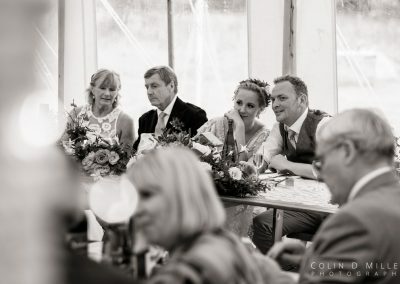 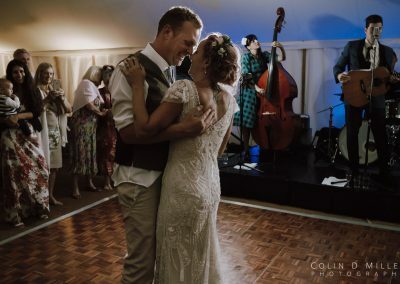 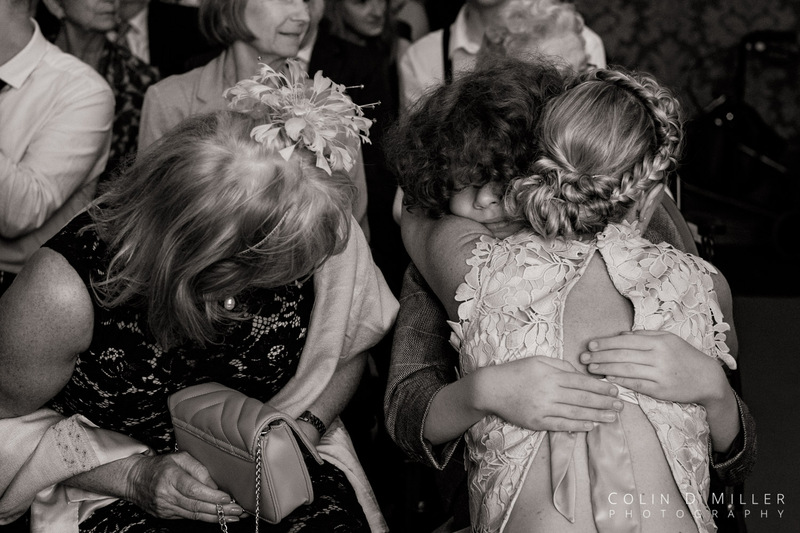 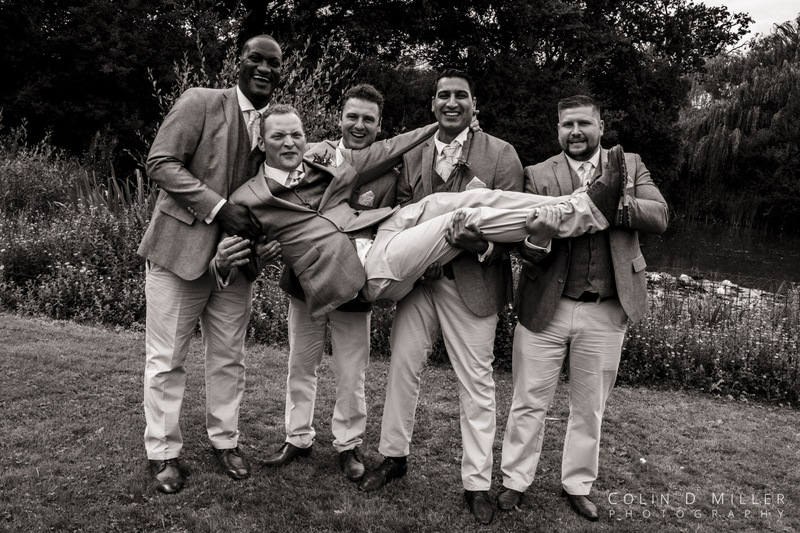 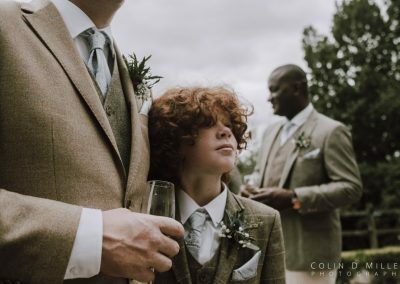 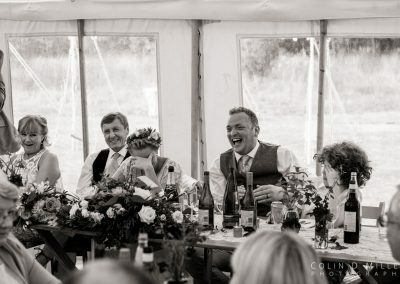 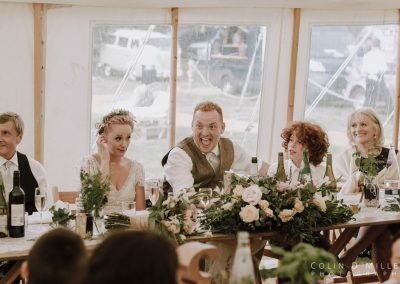 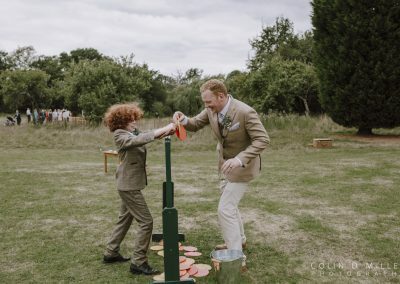 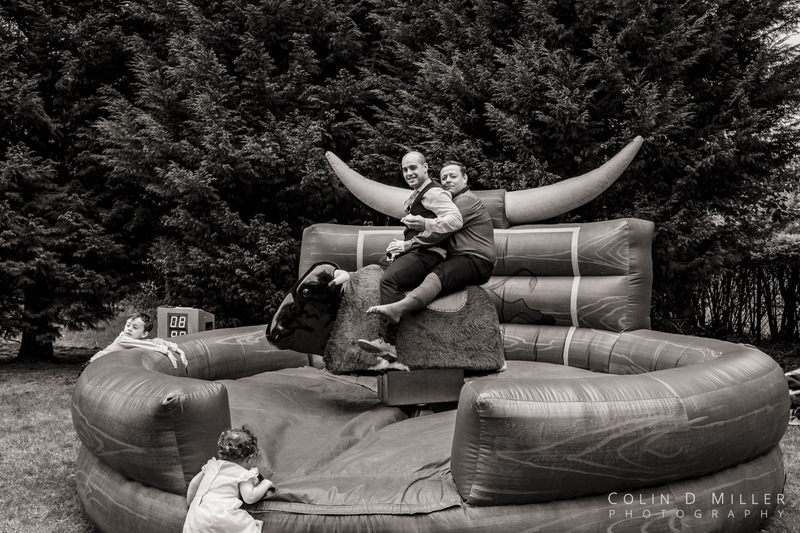 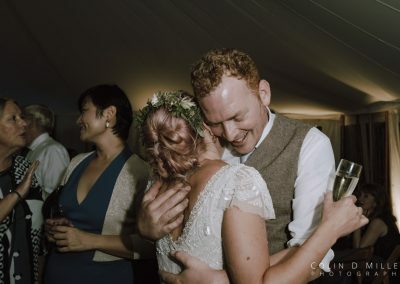 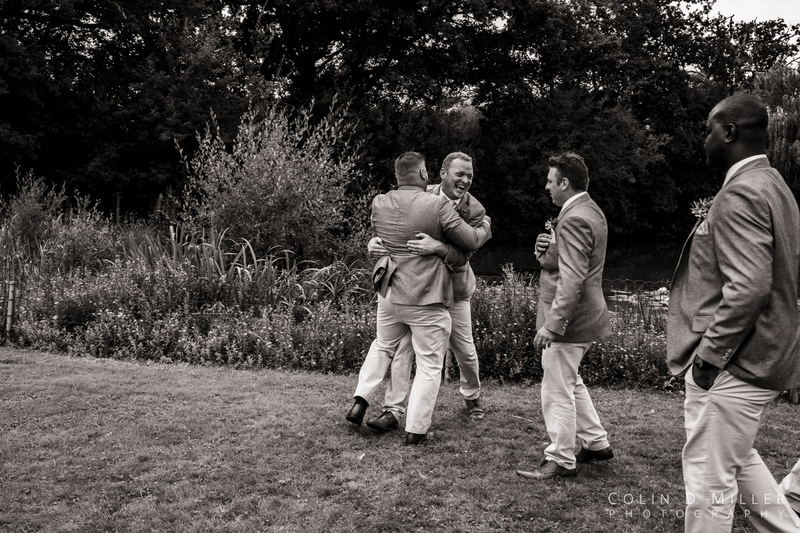 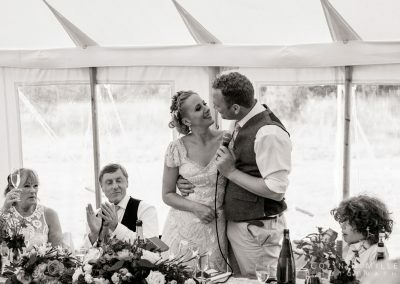 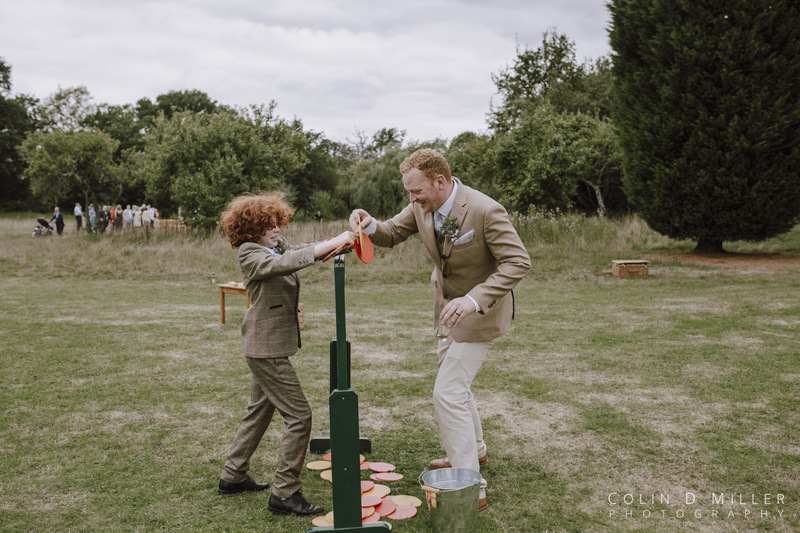 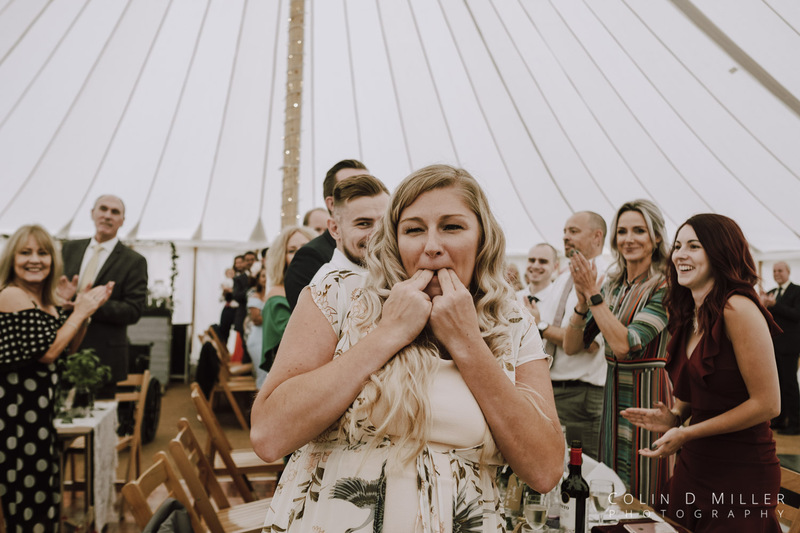 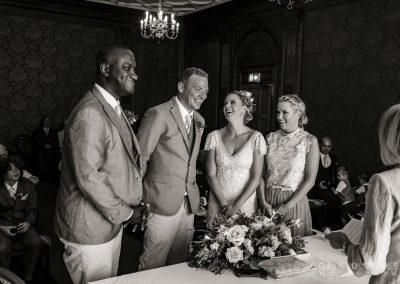 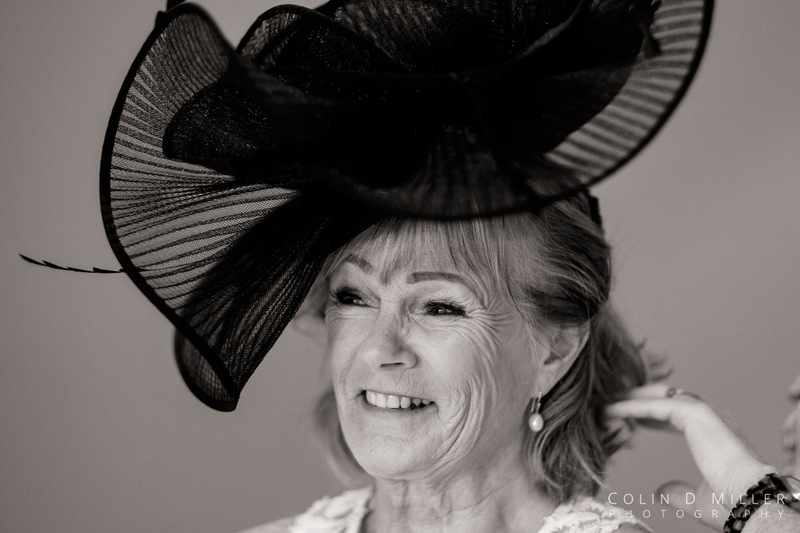 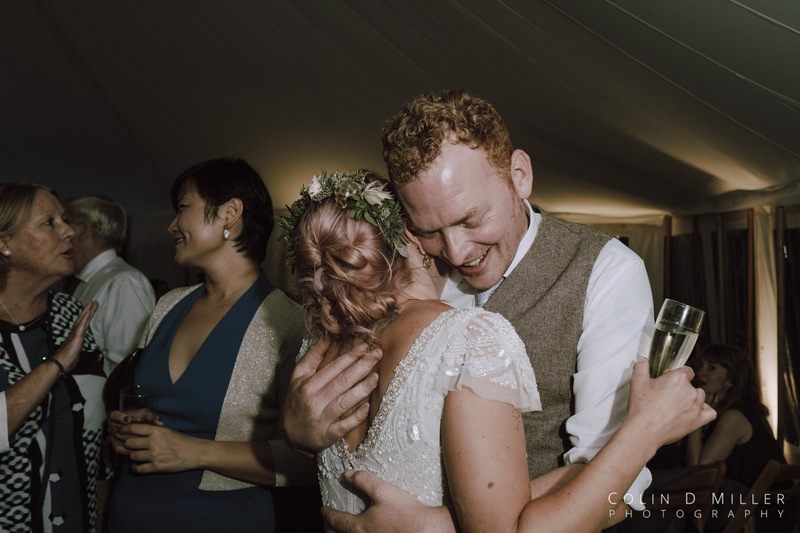 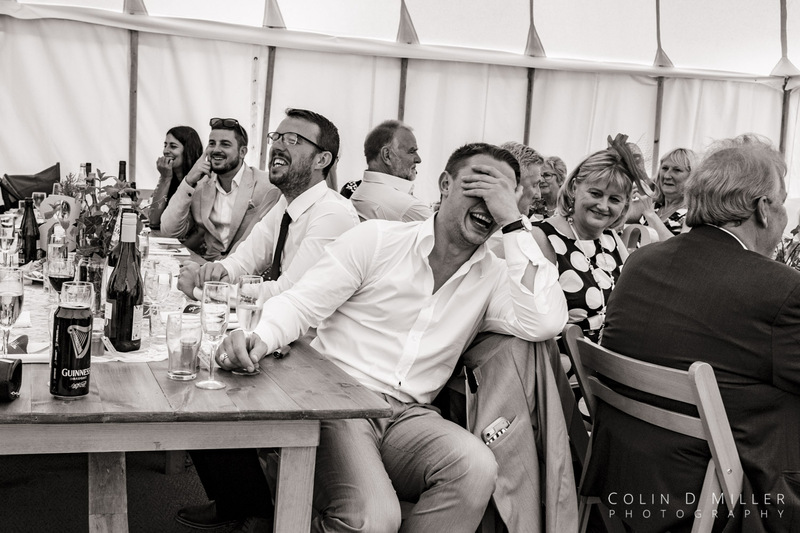 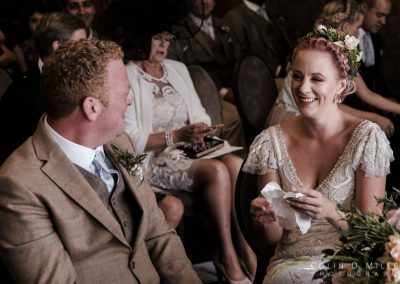 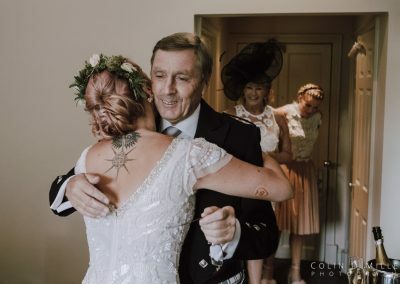 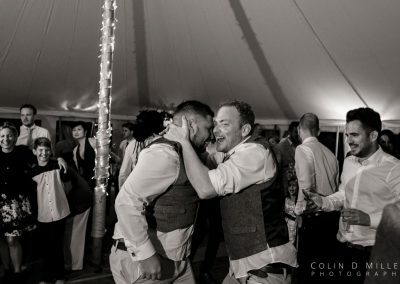 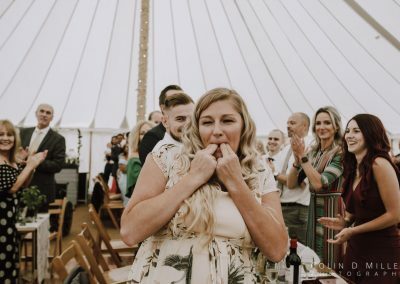 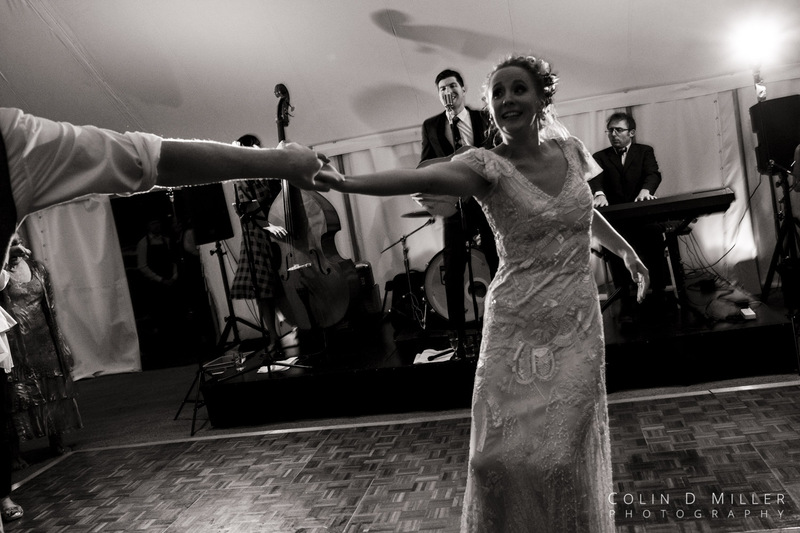 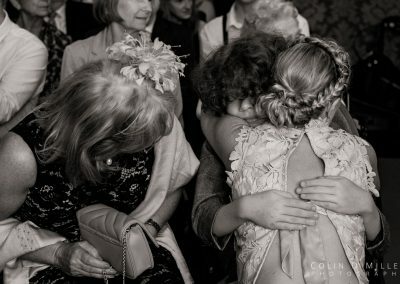 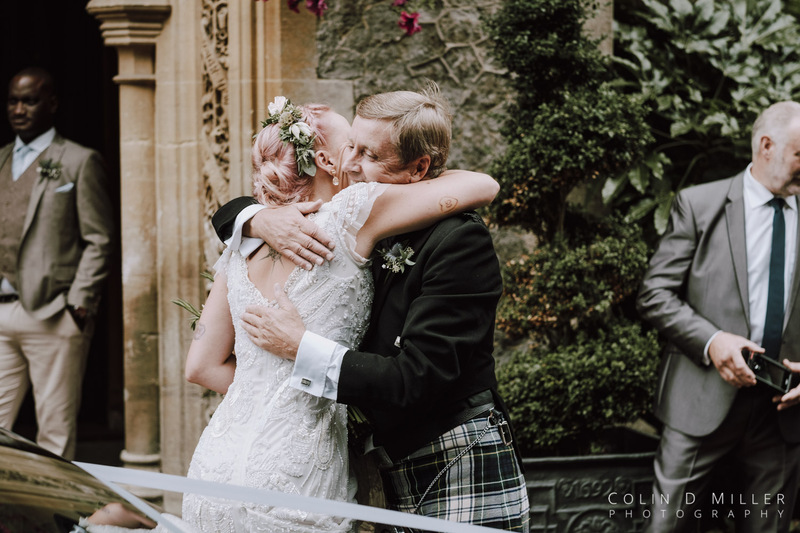 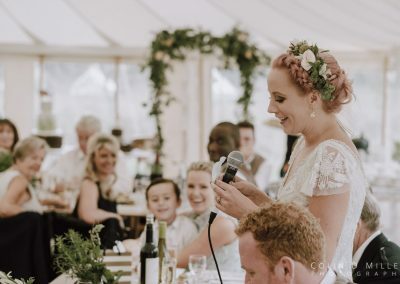 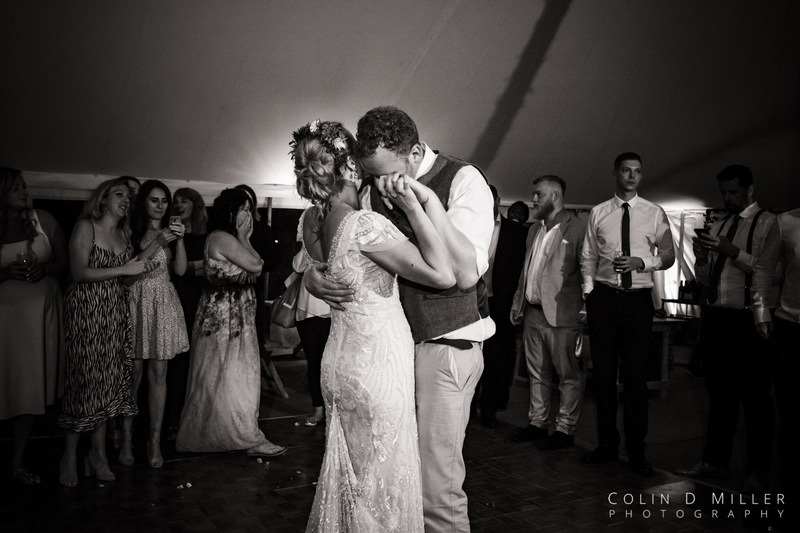 Full of colour, emotion and laughter, there was no shortage of moments to capture. 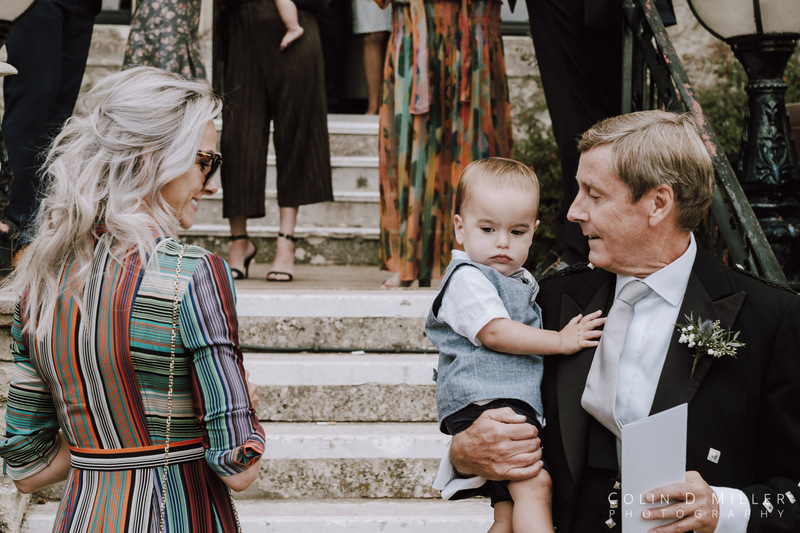 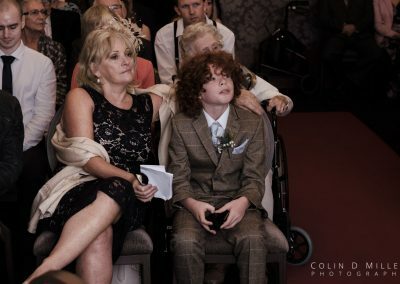 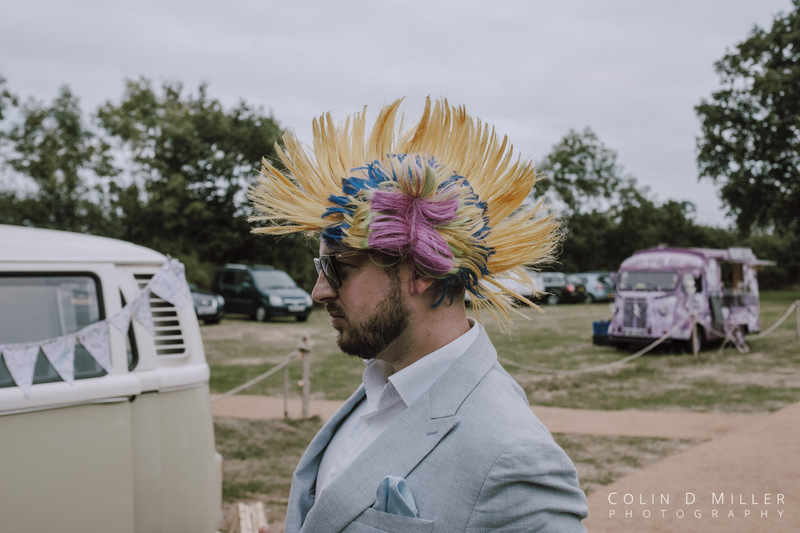 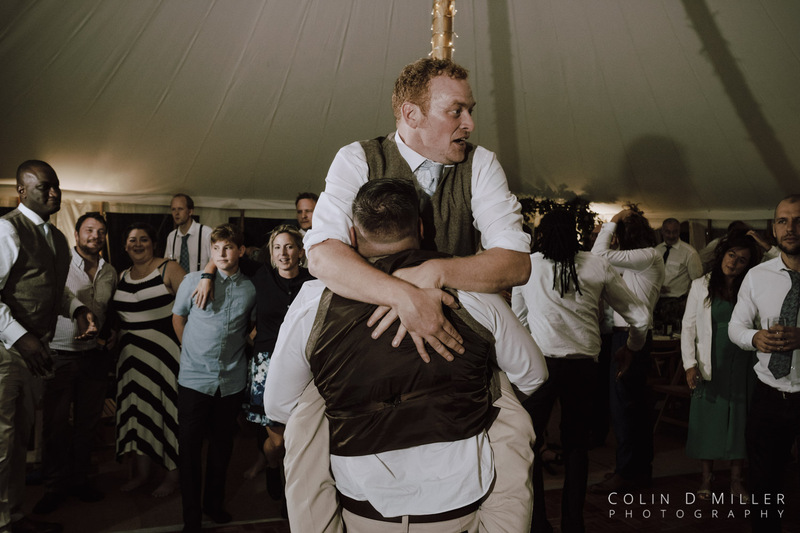 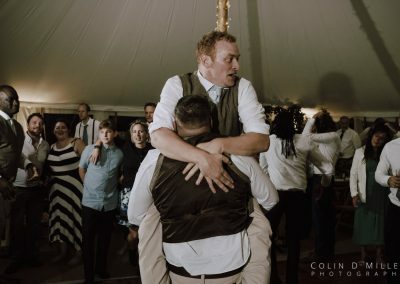 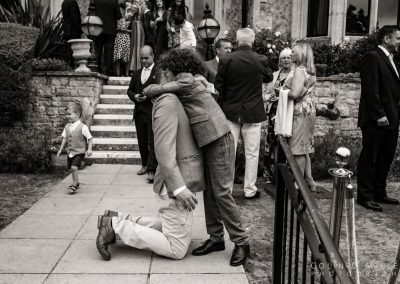 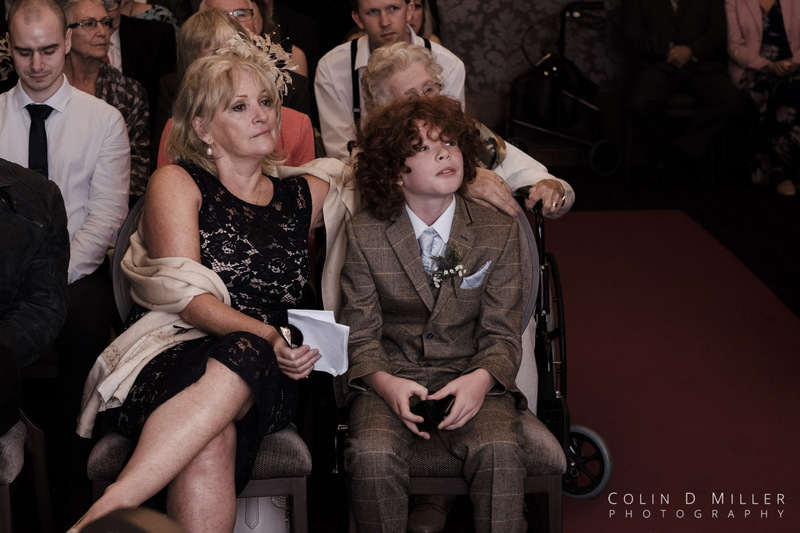 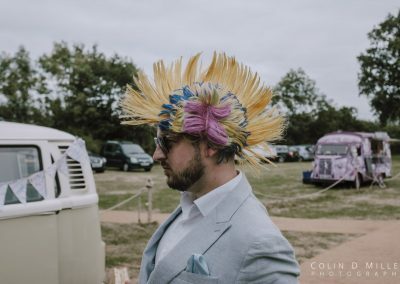 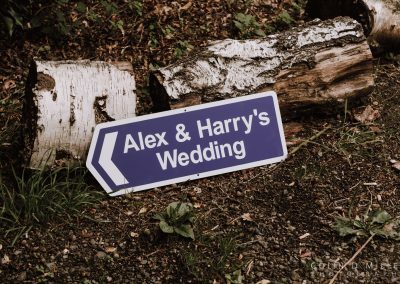 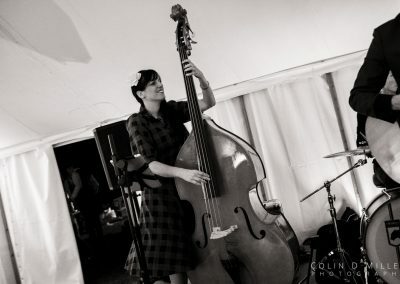 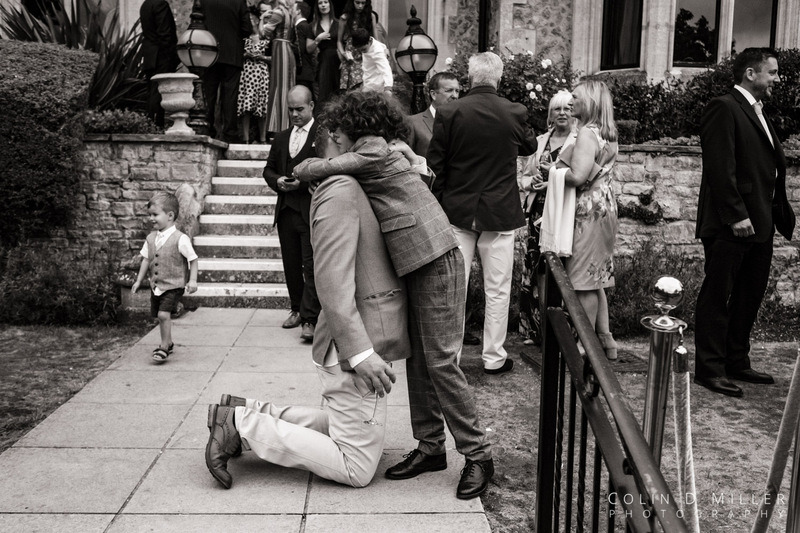 There was a lot for me to capture at Alex and Harry’s wedding. 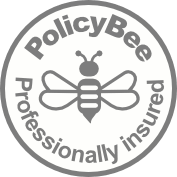 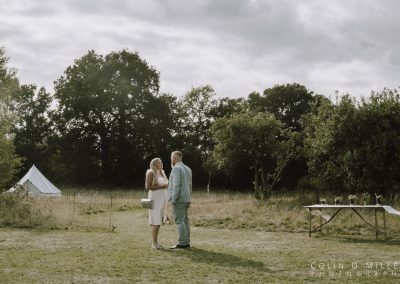 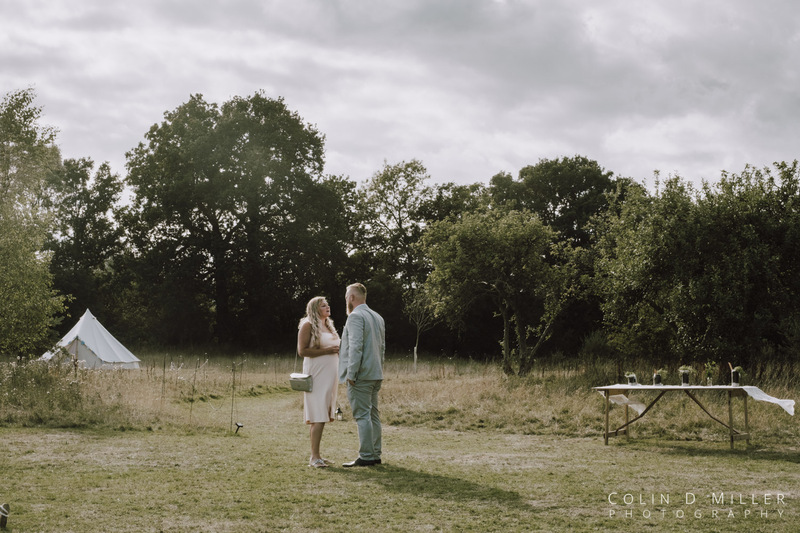 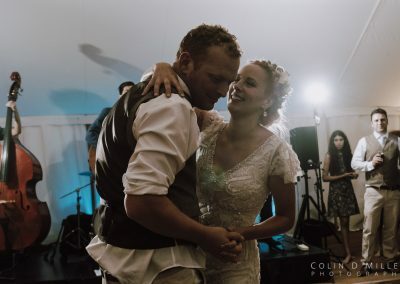 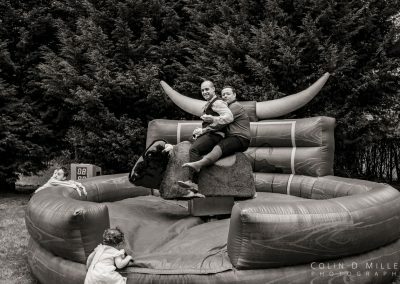 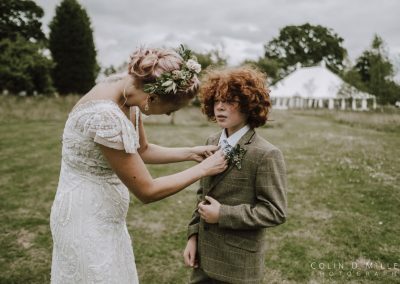 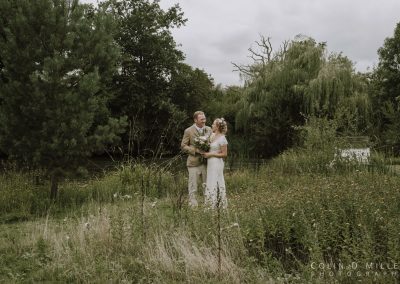 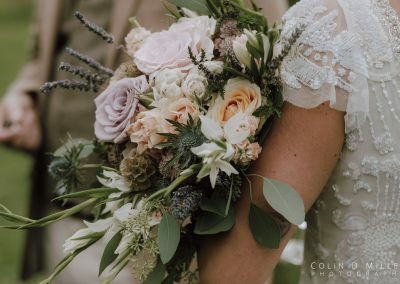 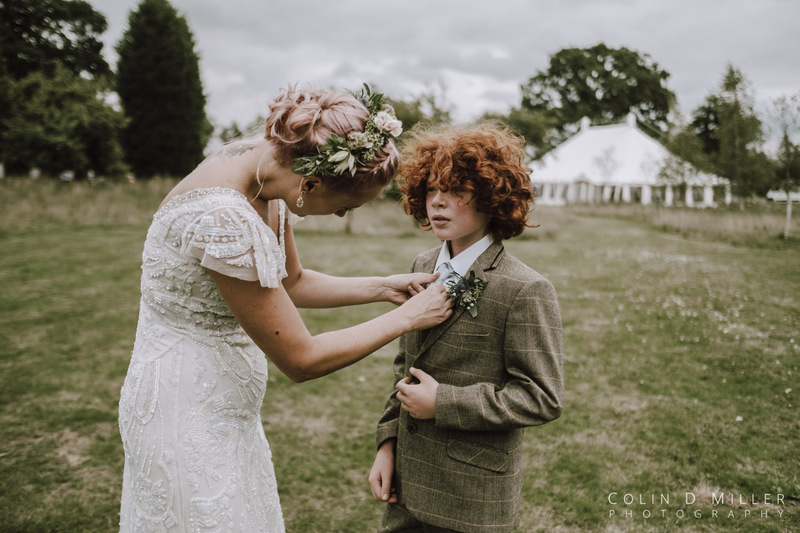 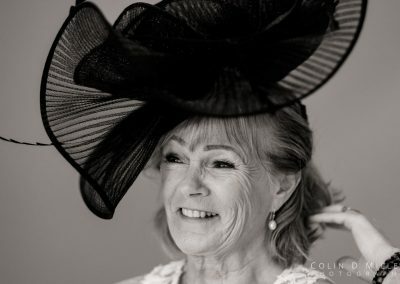 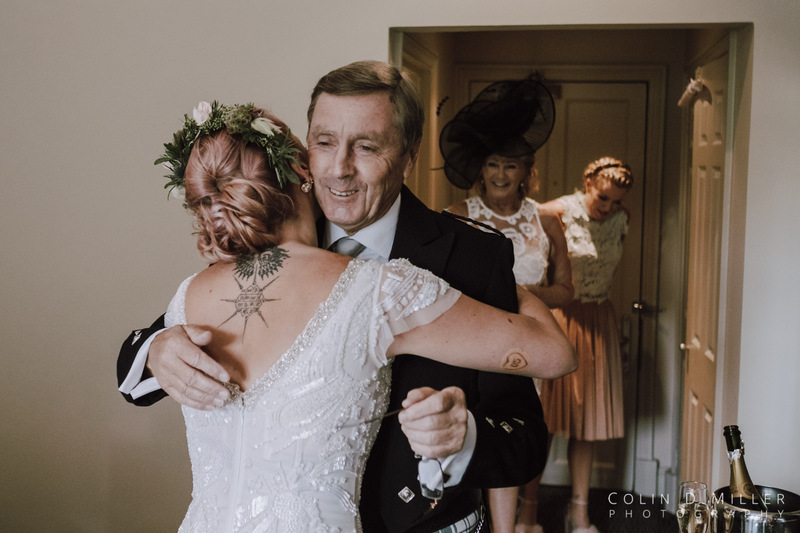 I was initially asked to do their photography, but after speaking with them they asked whether I would be able to do a bit of videography for them to. 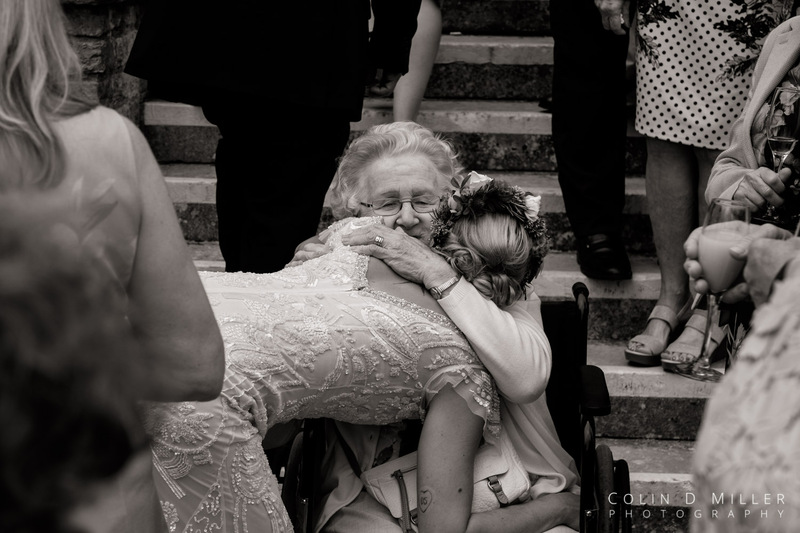 With this in mind, I asked my good friend and awesome fellow photographer, Kirsty Hamilton to help out. 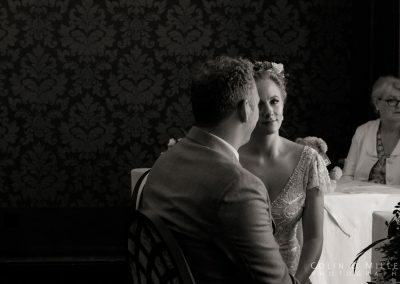 For more information on my videography services, please do check out this page. 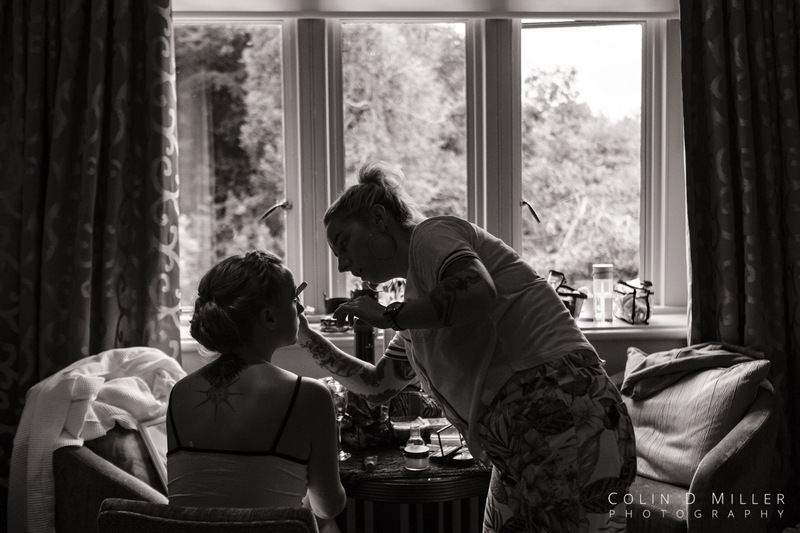 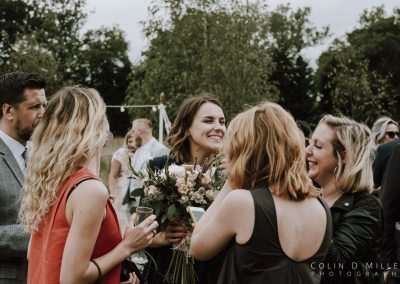 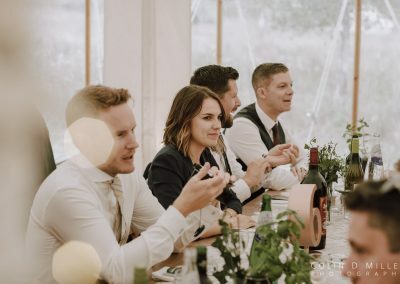 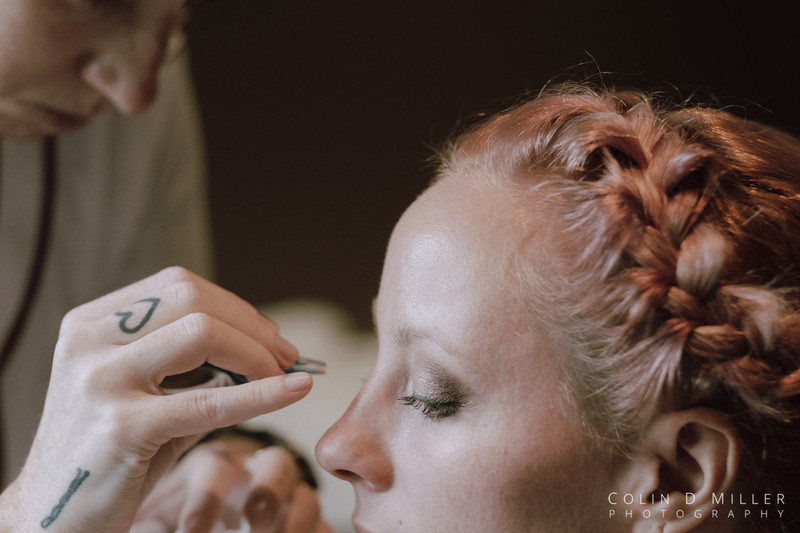 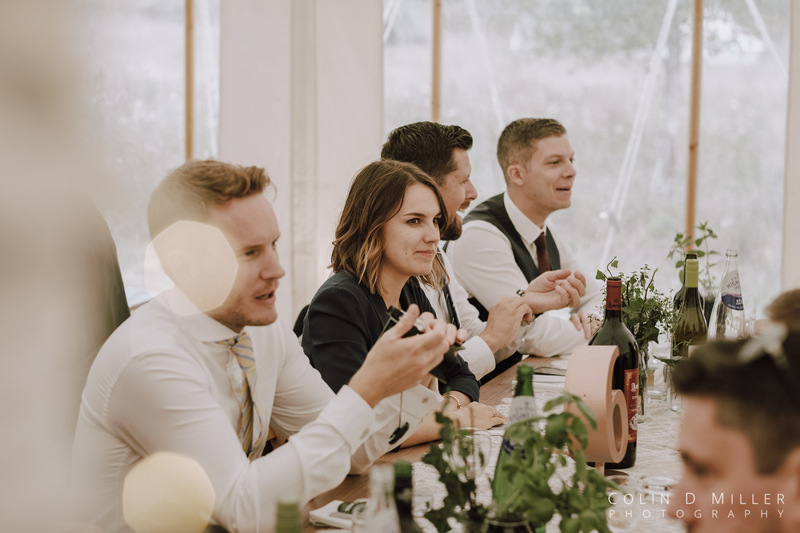 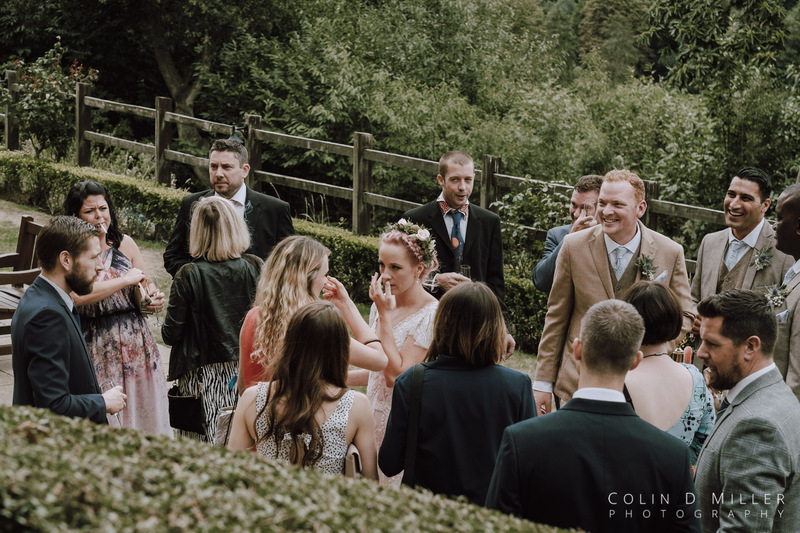 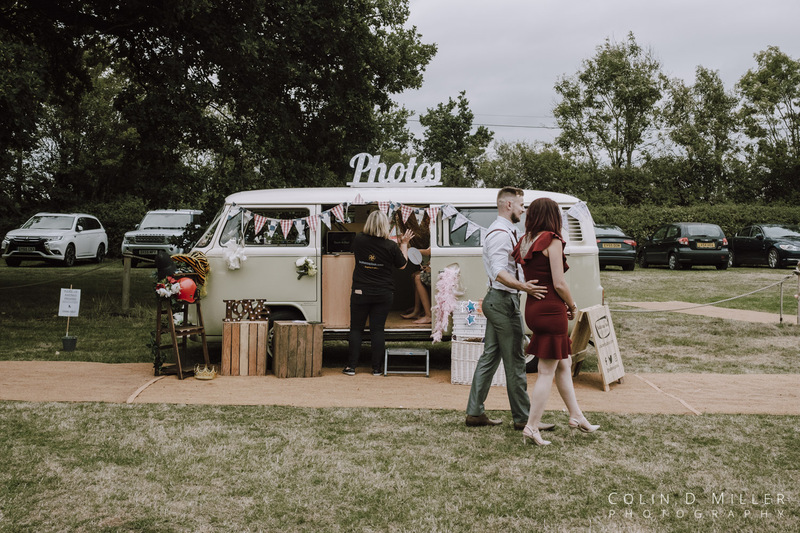 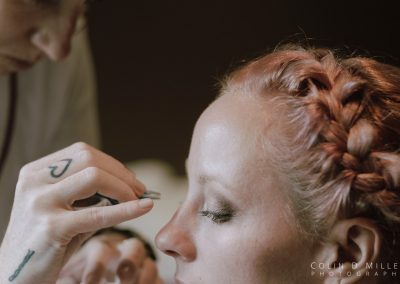 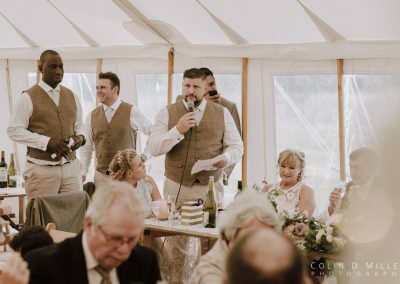 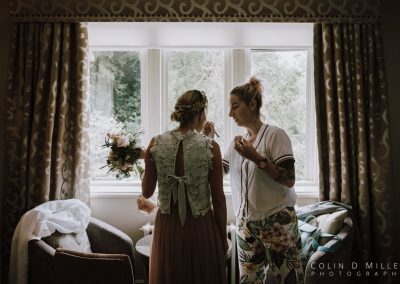 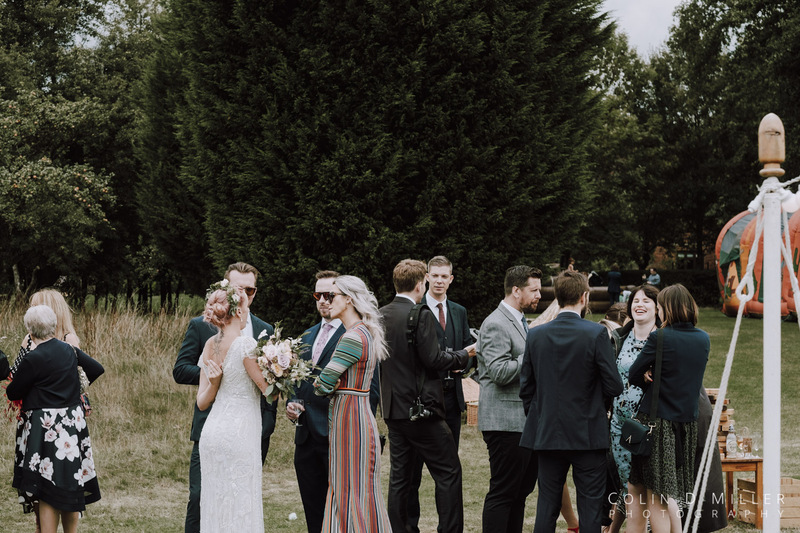 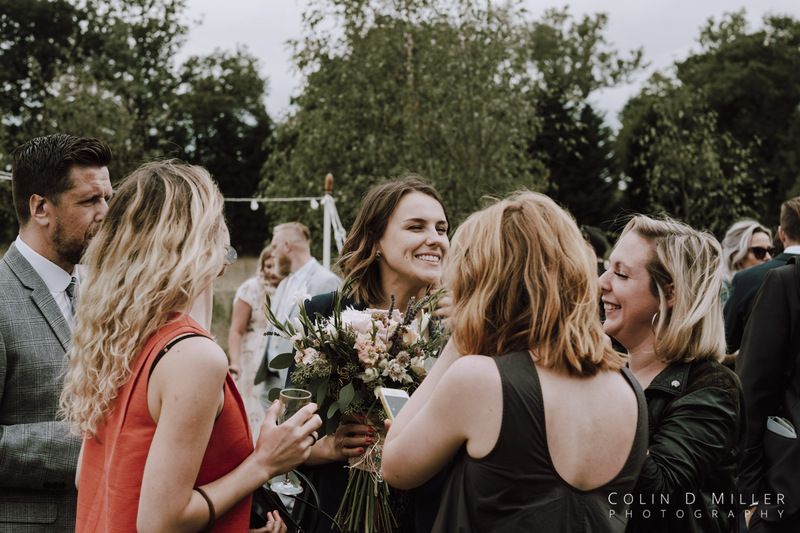 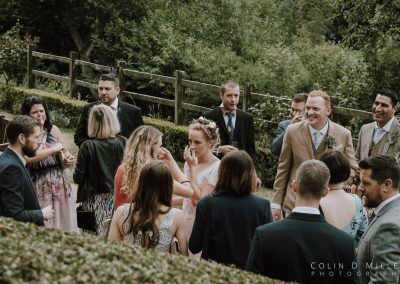 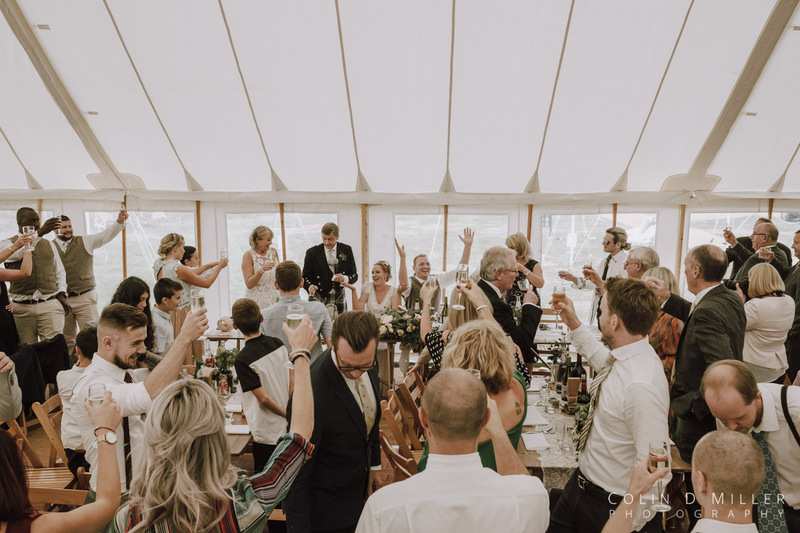 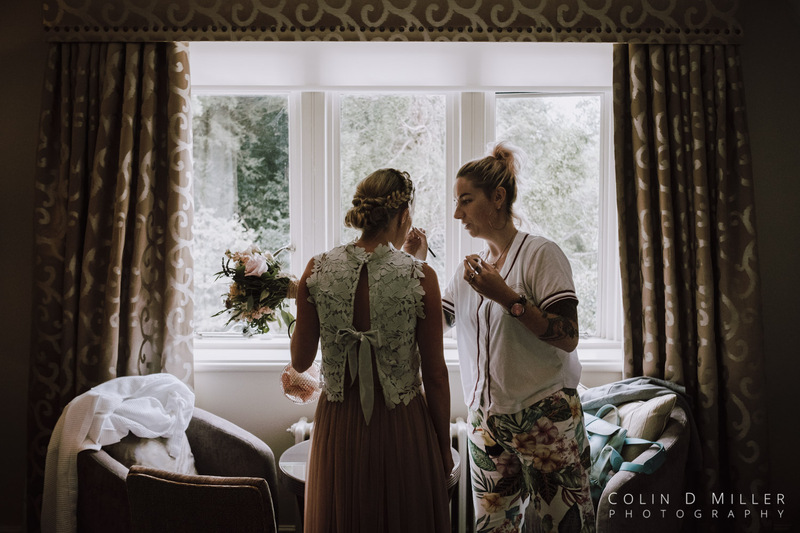 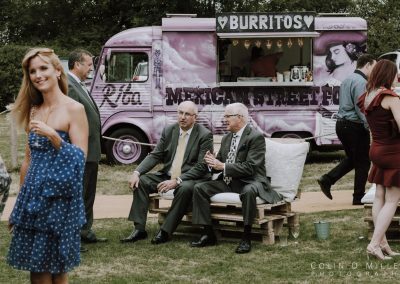 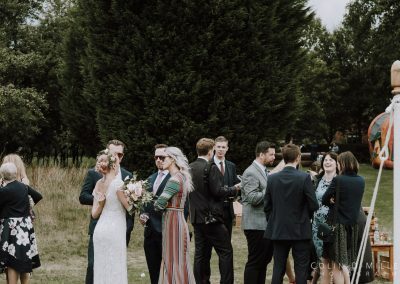 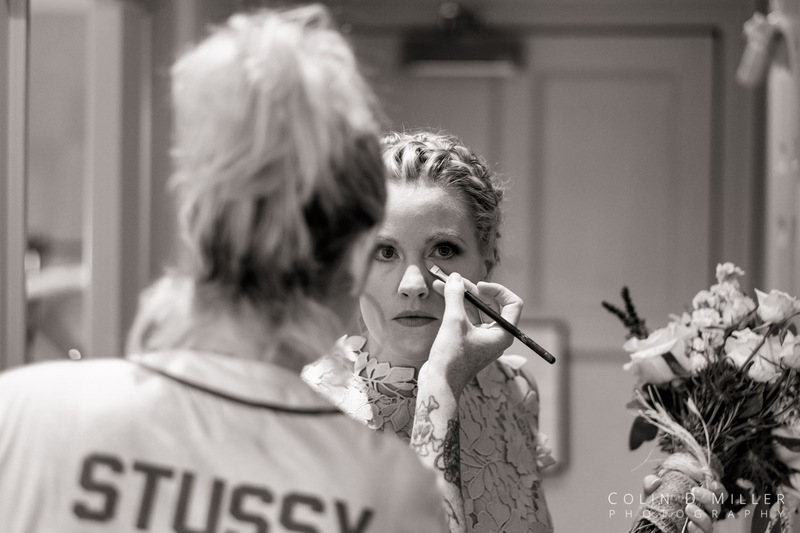 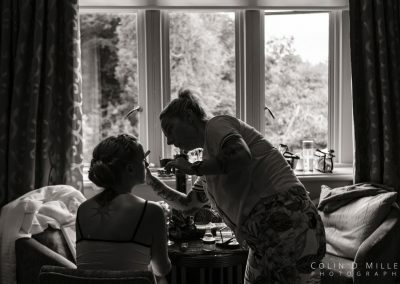 While Kirsty went to photograph Harry and the groomsmen getting ready, I stayed at Nutfield and captured Alex and the bridal party getting ready. 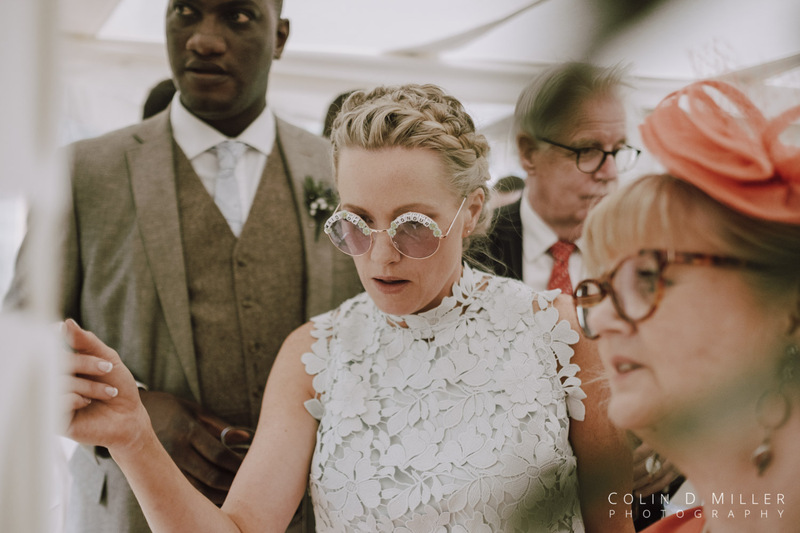 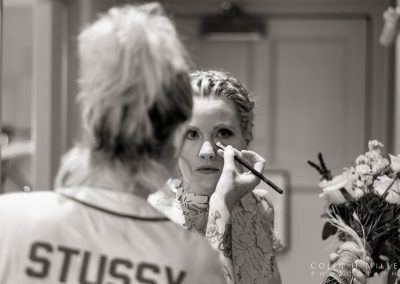 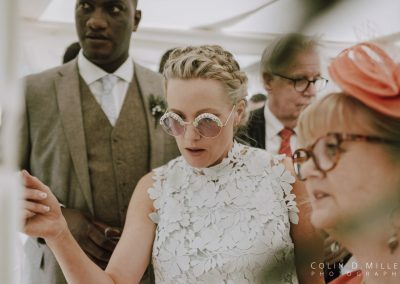 It was quite amusing watching Alex as the fact she was getting married that day clearly did hit her until she looked at herself in the mirror. 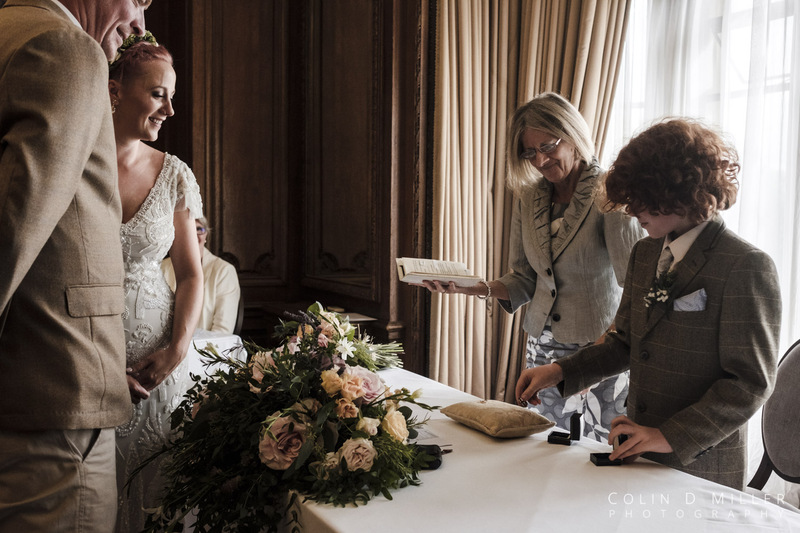 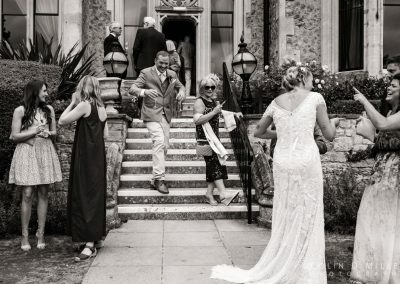 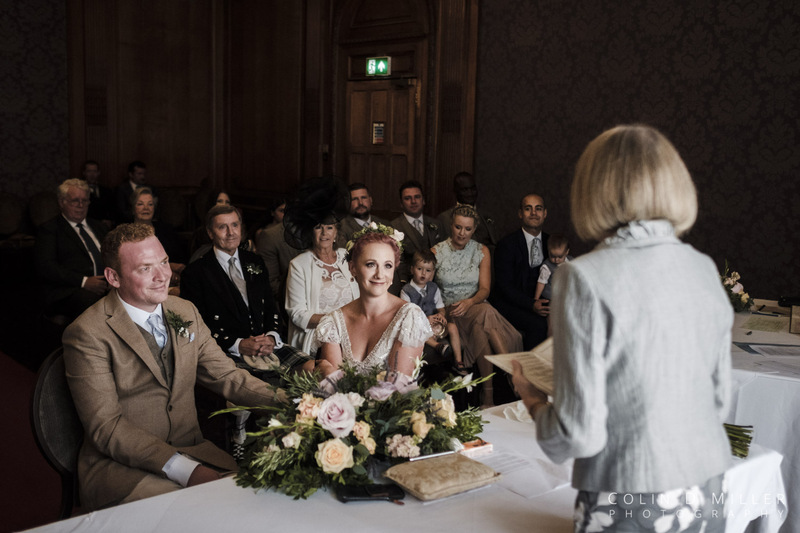 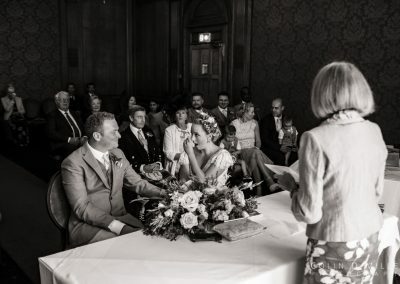 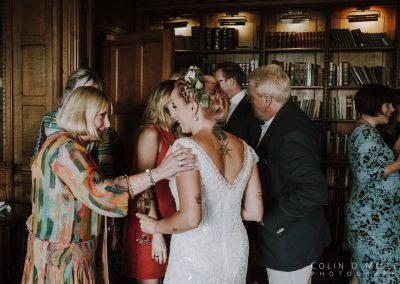 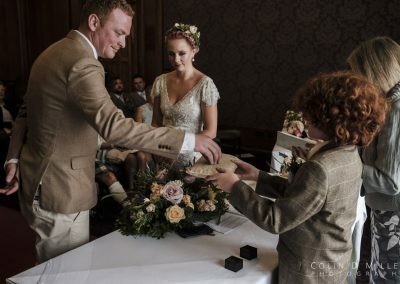 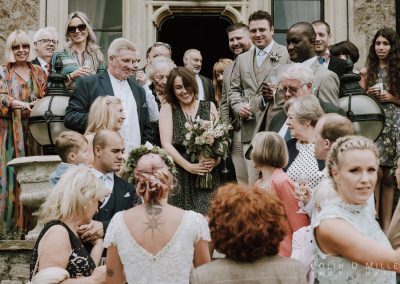 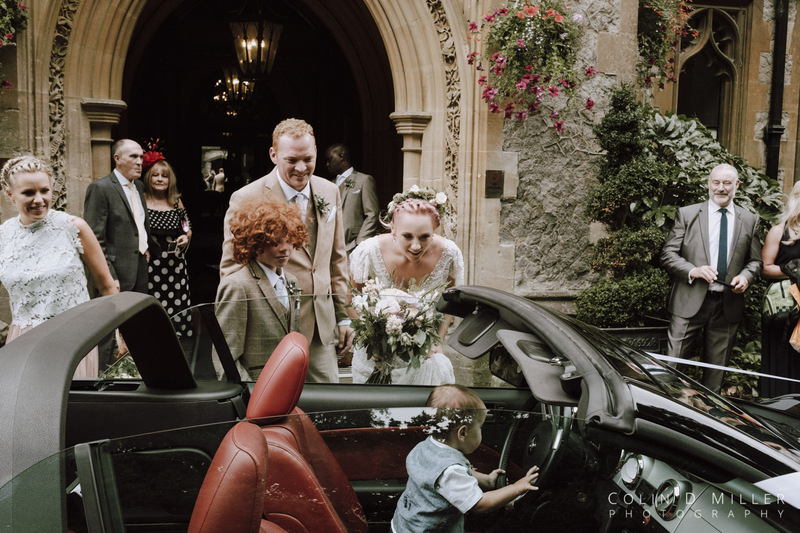 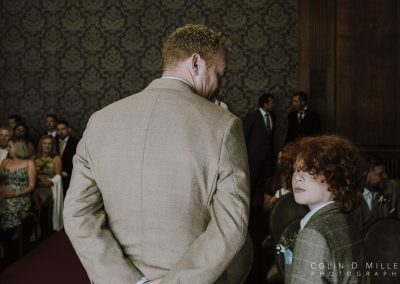 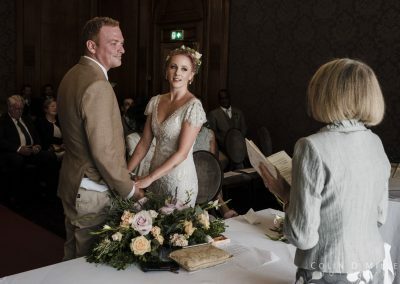 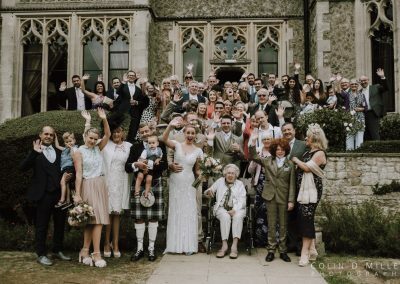 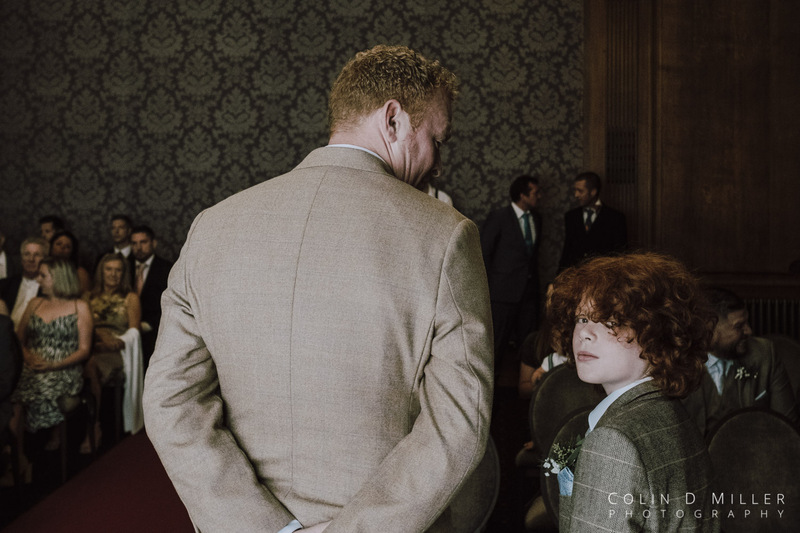 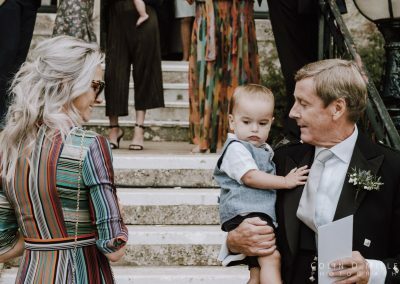 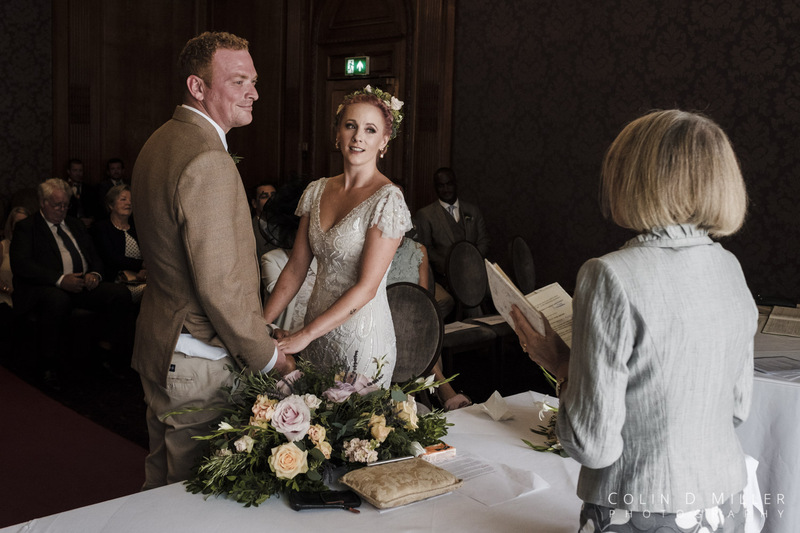 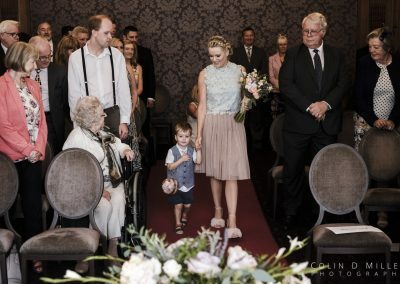 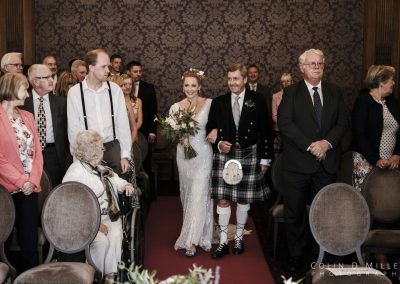 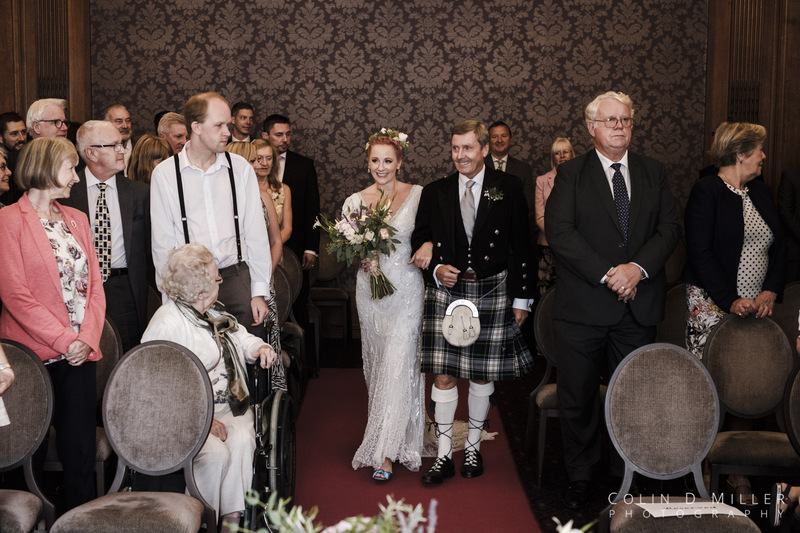 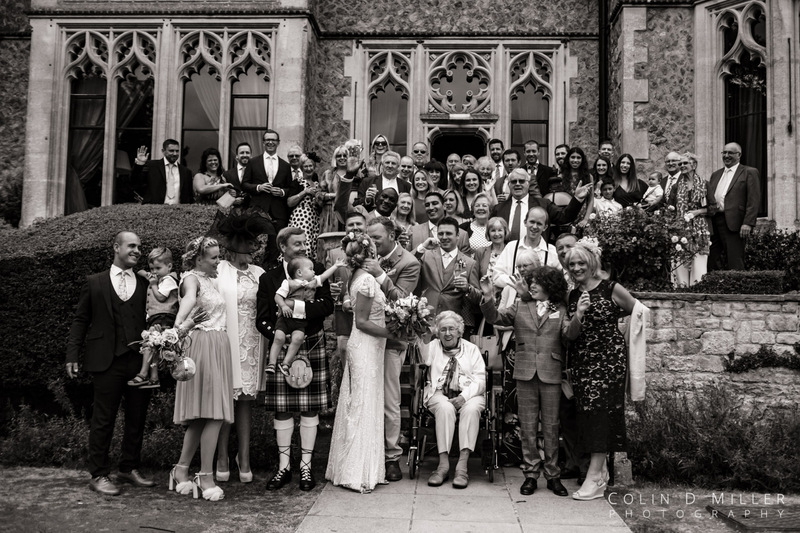 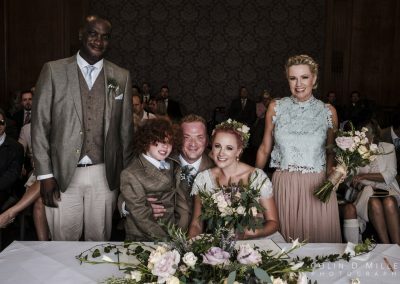 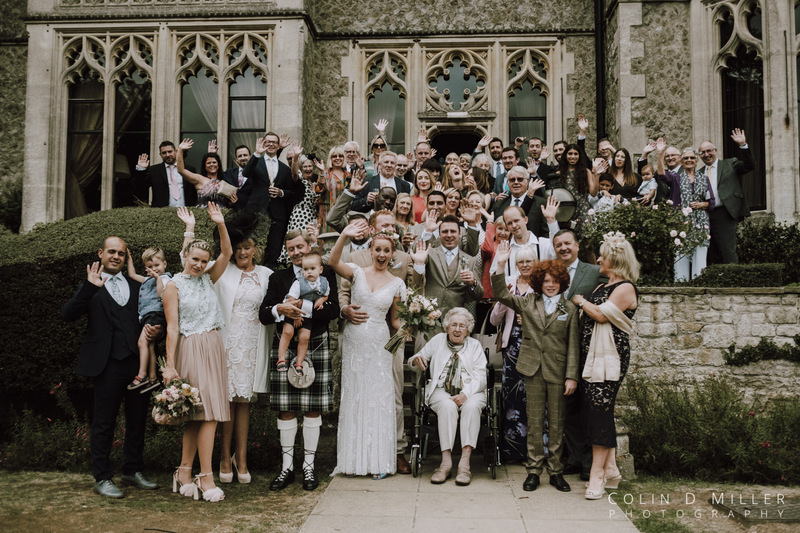 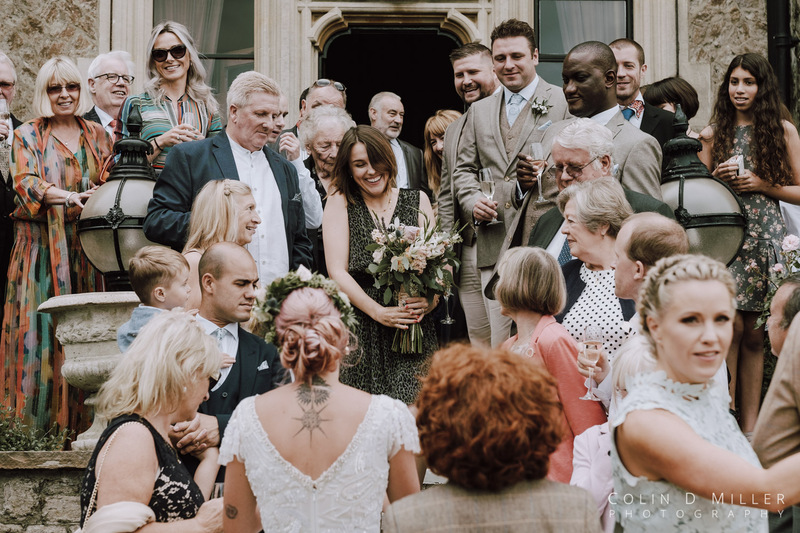 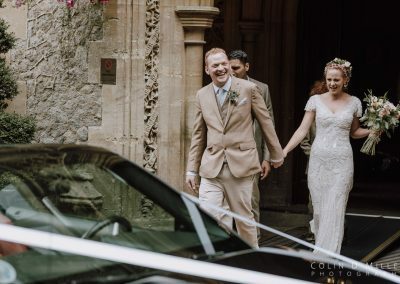 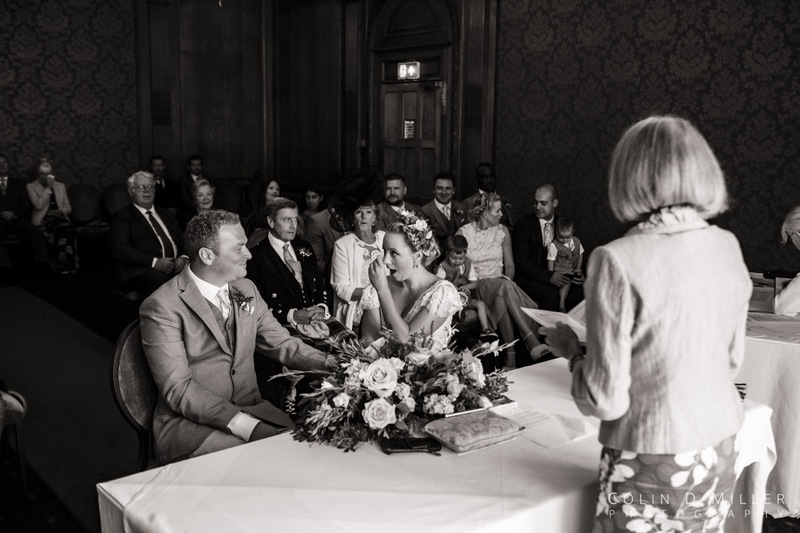 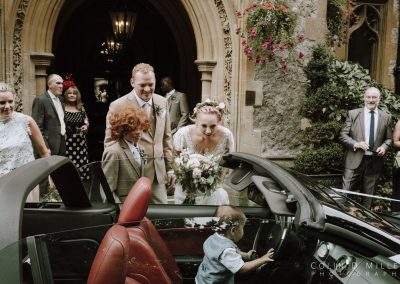 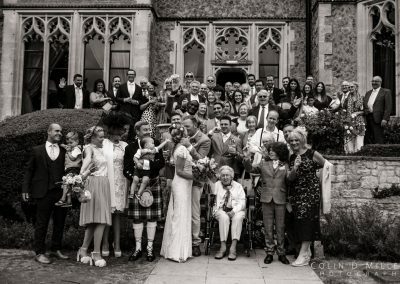 Come the ceremony, they all headed down to the Gibson Room at Nutfield Priory, where her guests and Harry were all waiting. 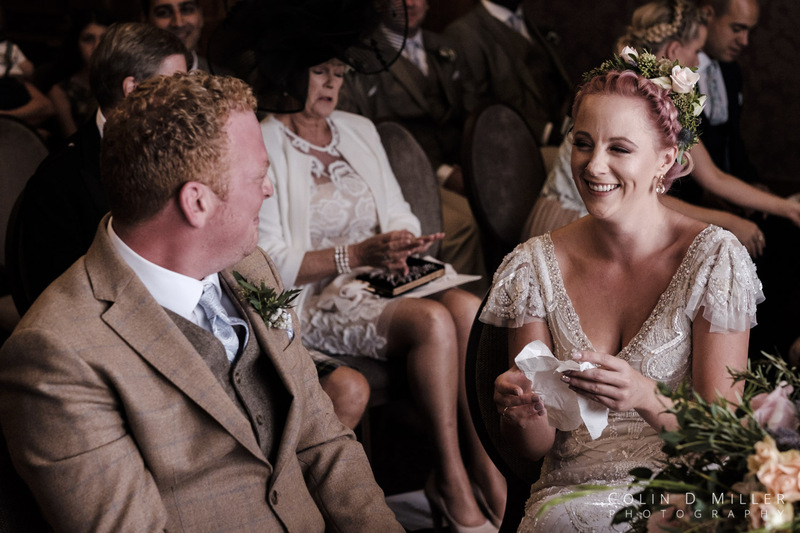 Easily one of the more amusing ceremonies I’ve photographed, there was laughter, a few tears and even some Star Wars music for everyone to enjoy. From there, they headed out to the balcony for a few canapés and drinks. 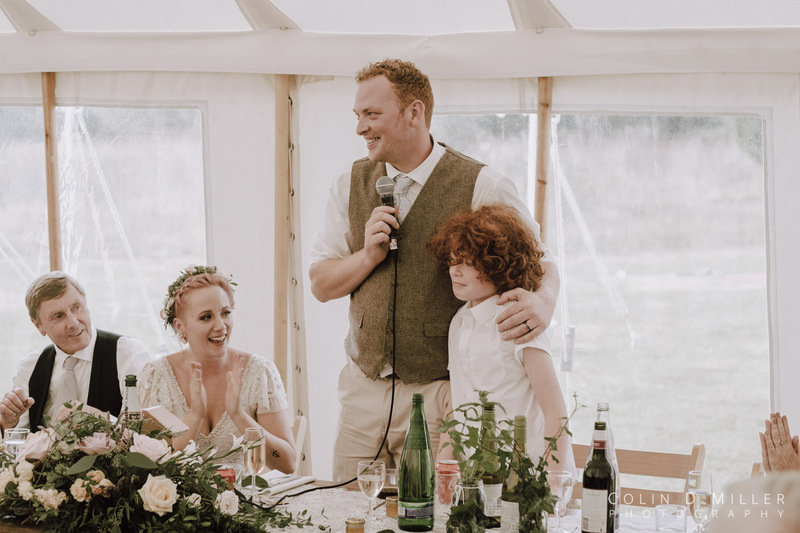 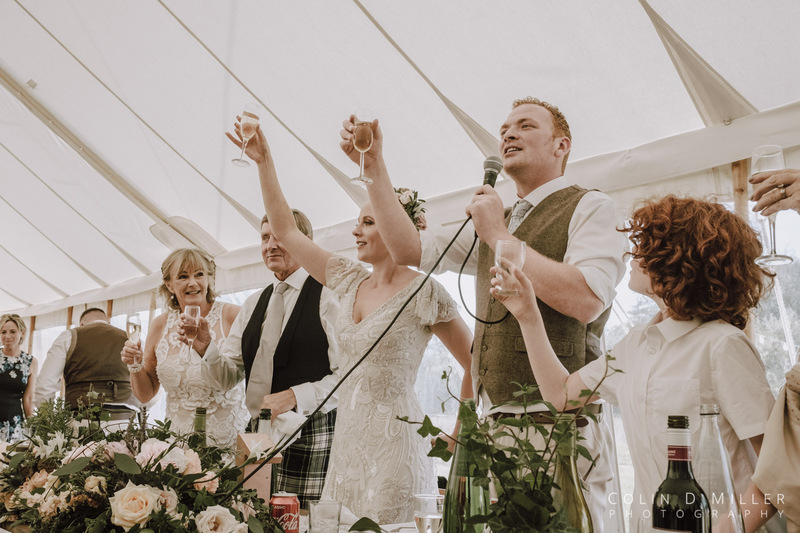 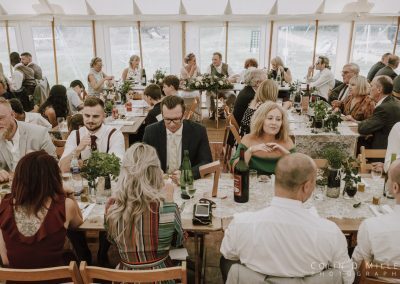 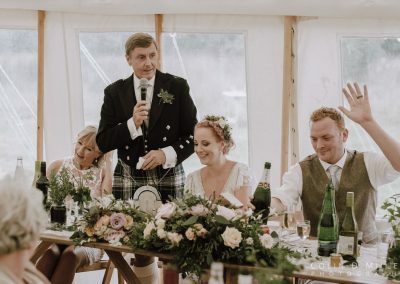 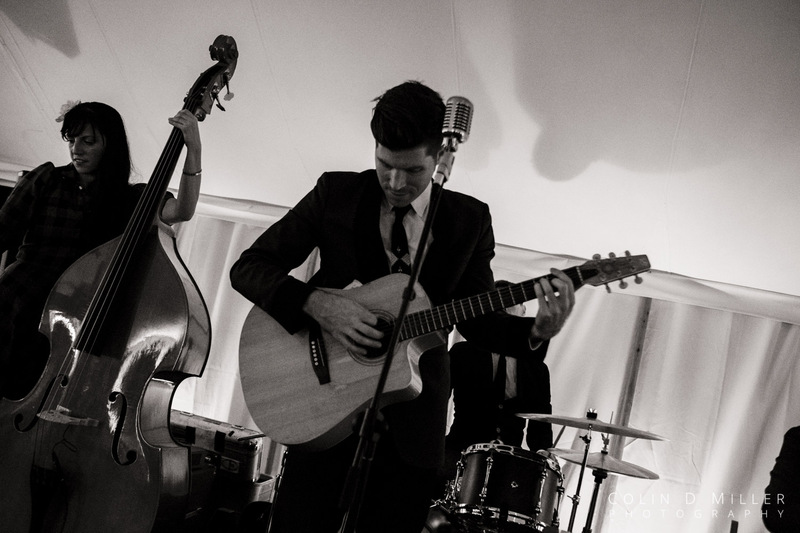 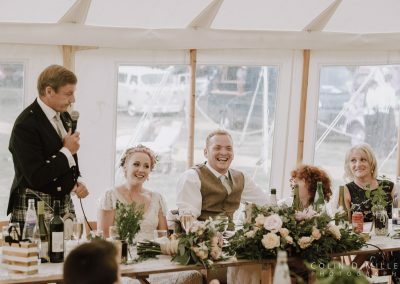 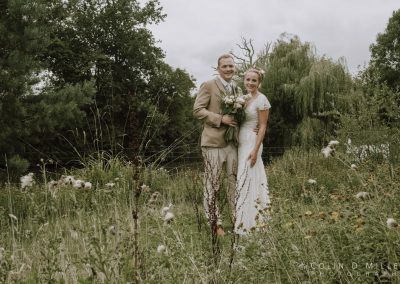 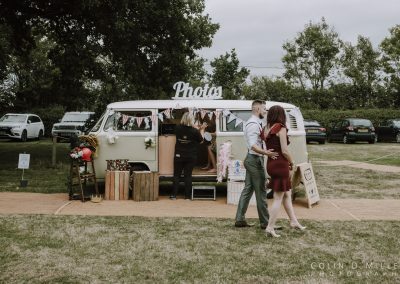 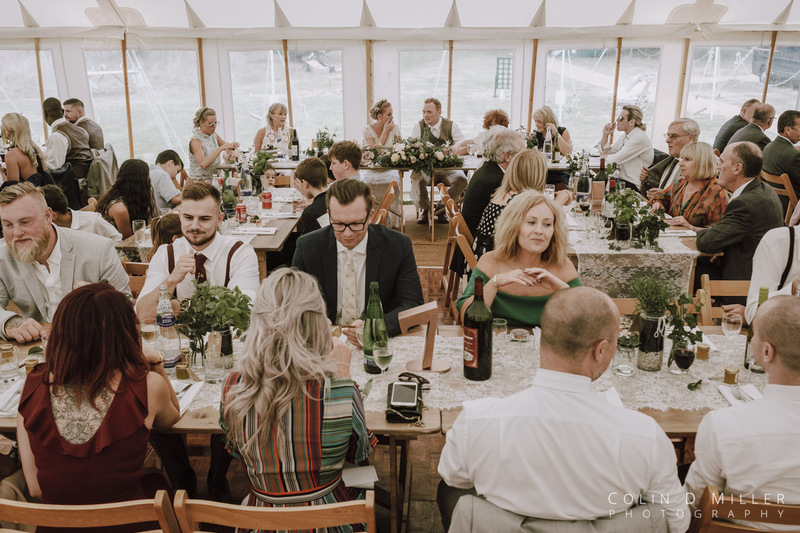 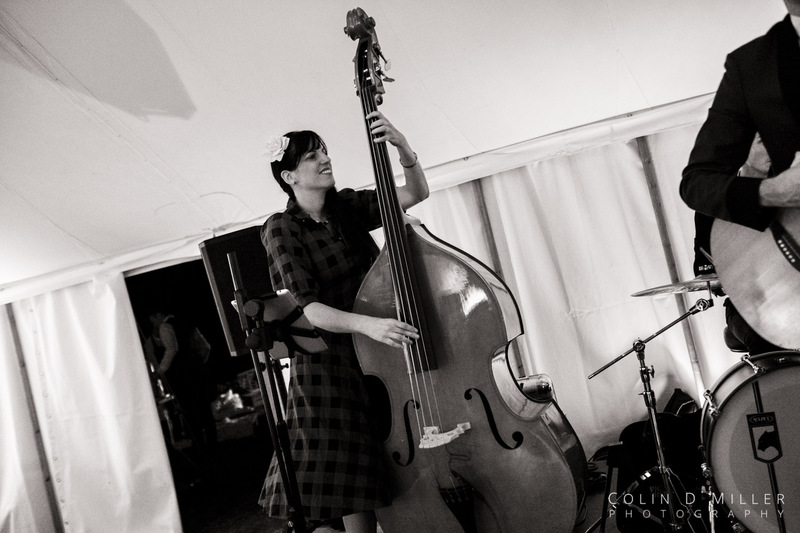 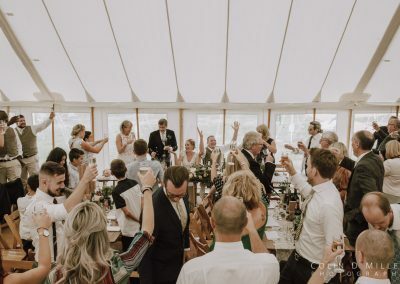 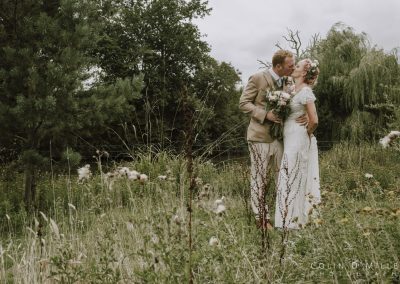 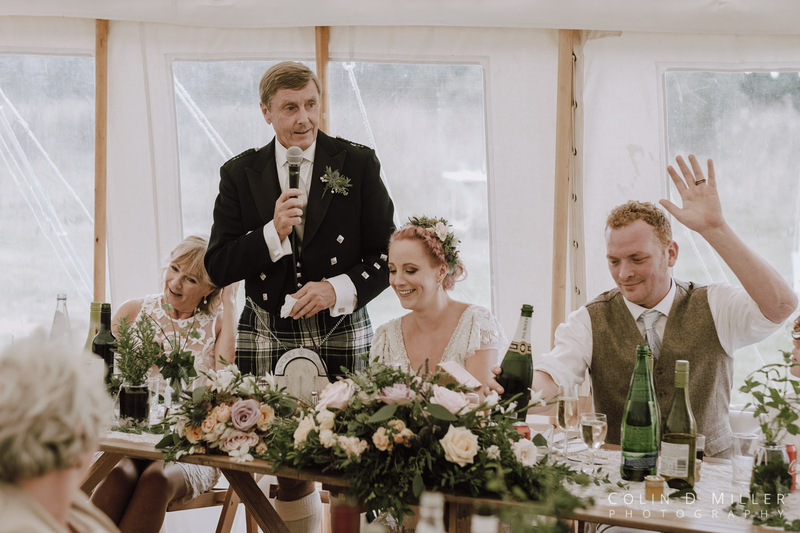 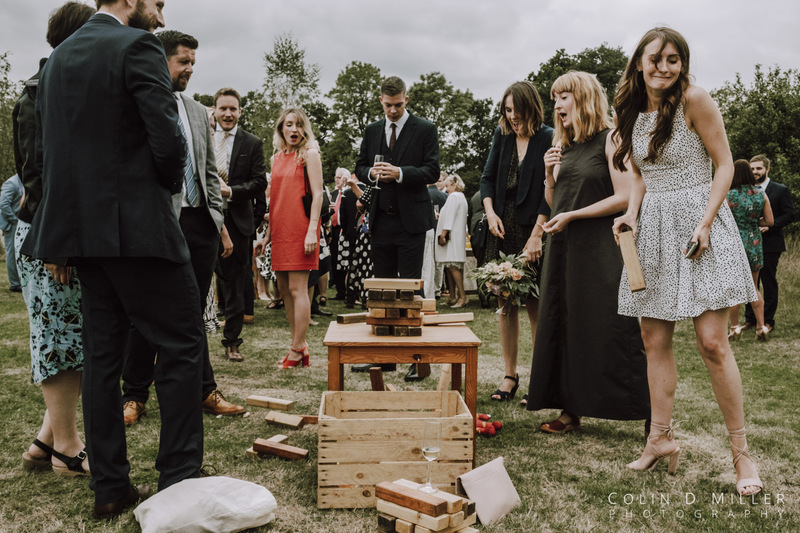 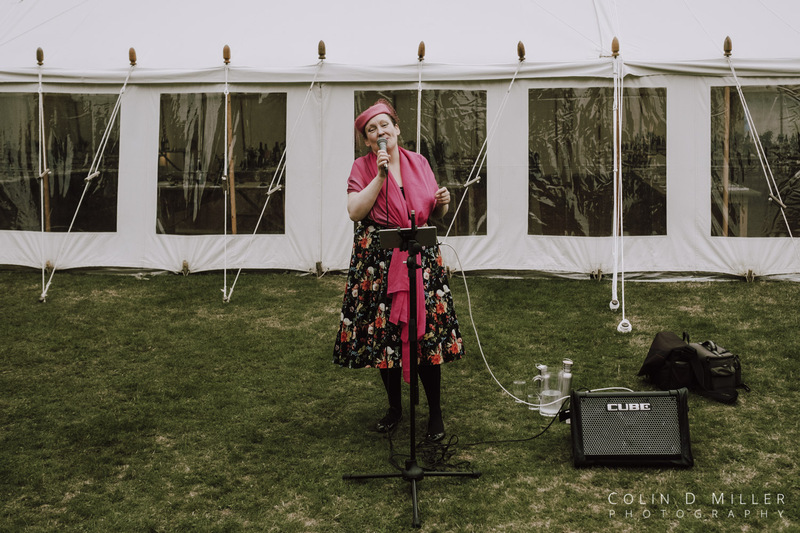 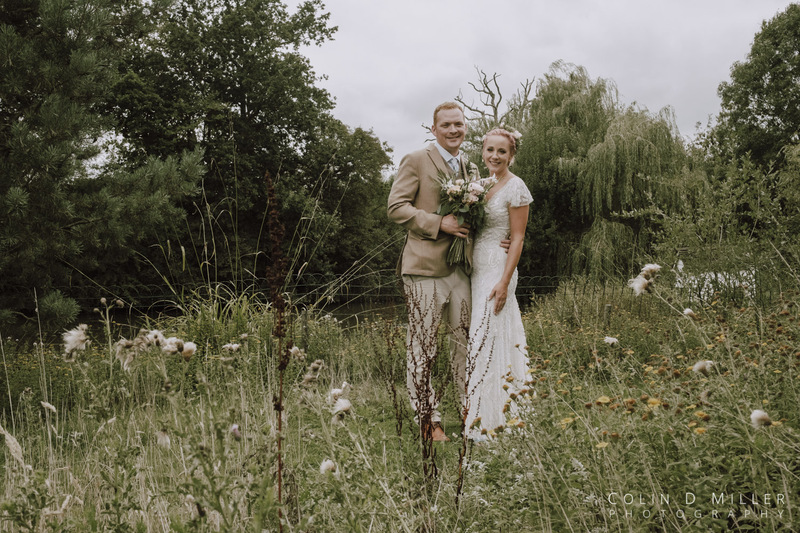 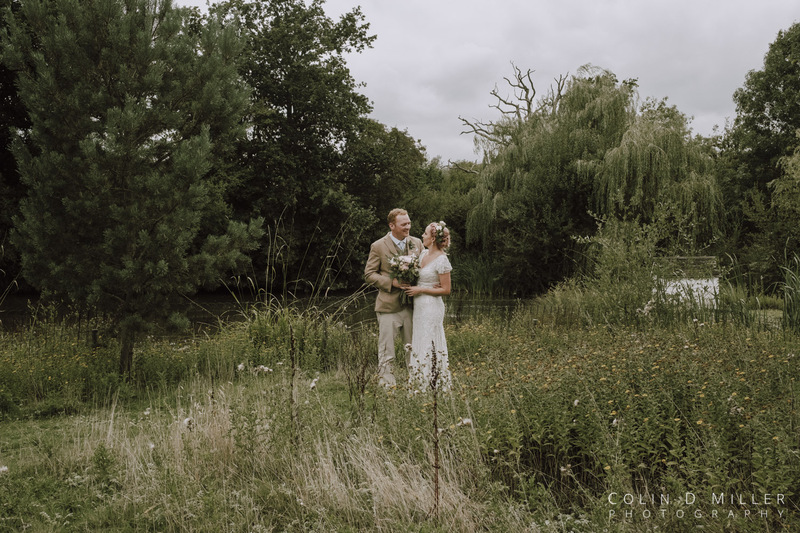 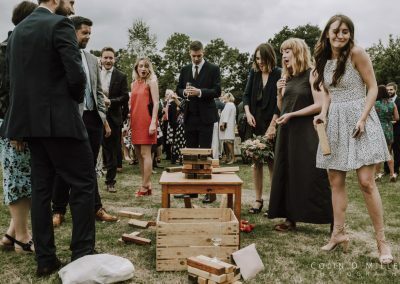 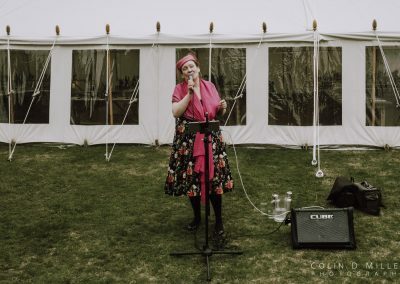 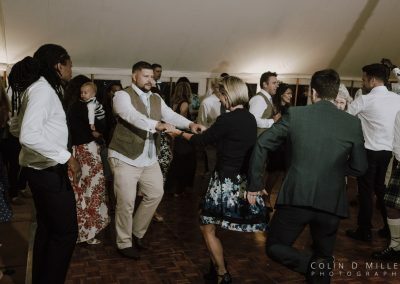 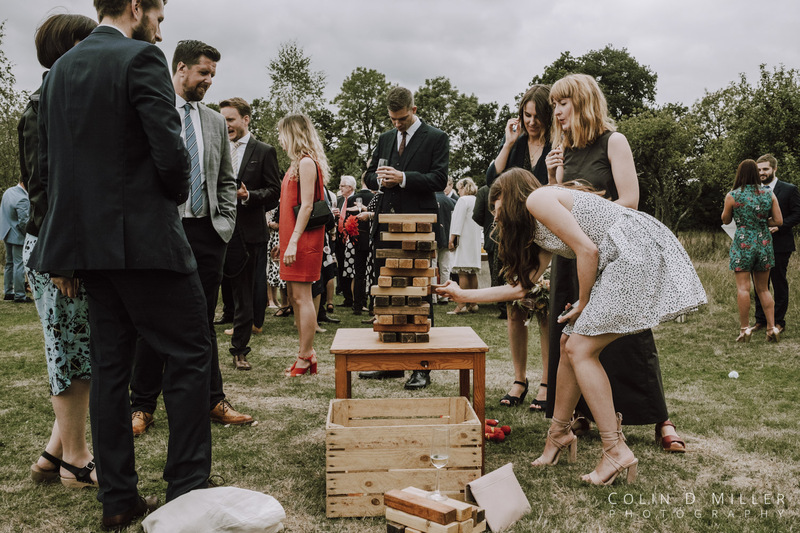 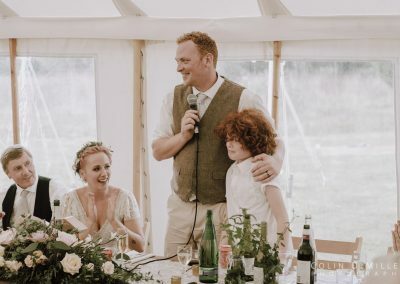 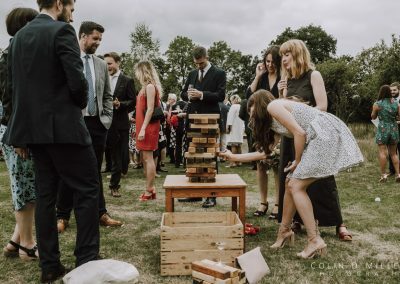 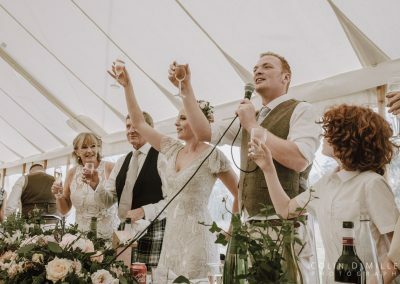 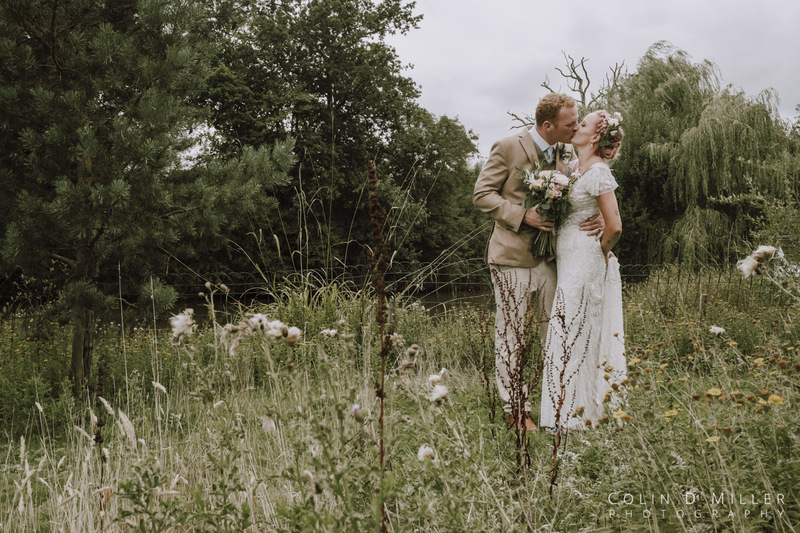 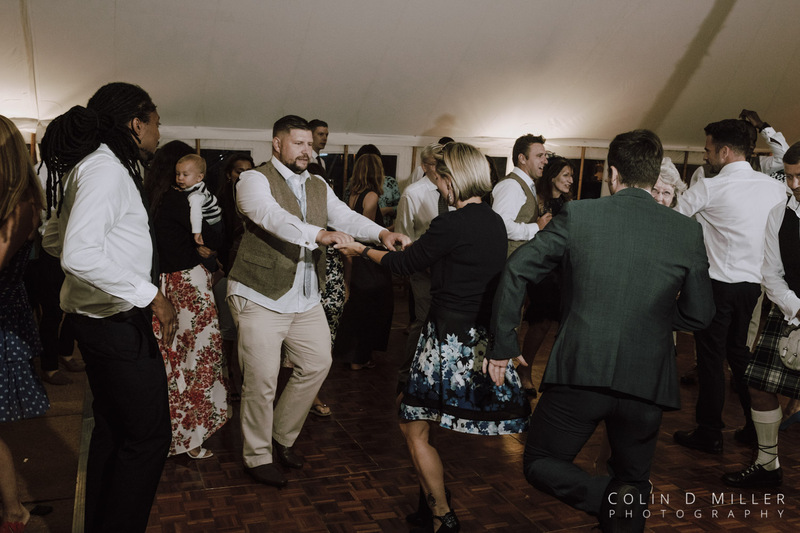 Located just outside of Redhill, Westmead Events is a stunning 11 acre venue complete with natural meadows and a lake. 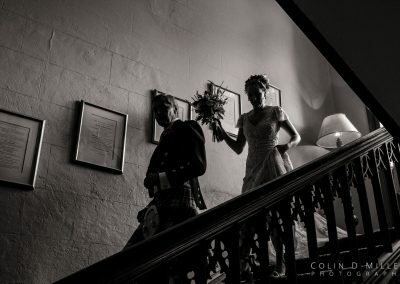 It really is the ideal venue for a photographer. 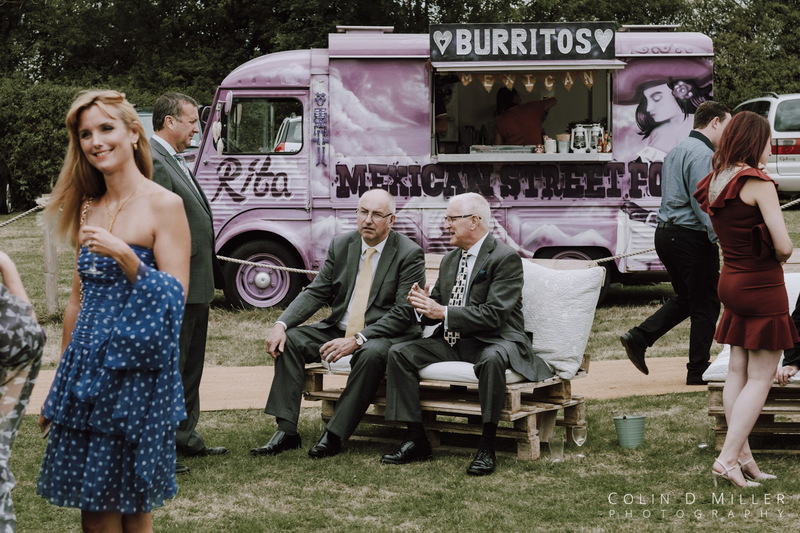 The wedding breakfast consisted of either pizza or burritos (I went for the pizza, which was very delicious!). 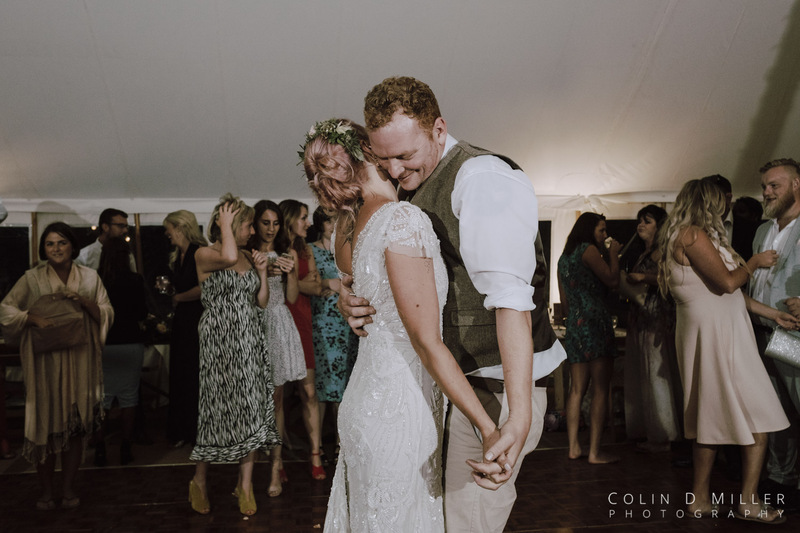 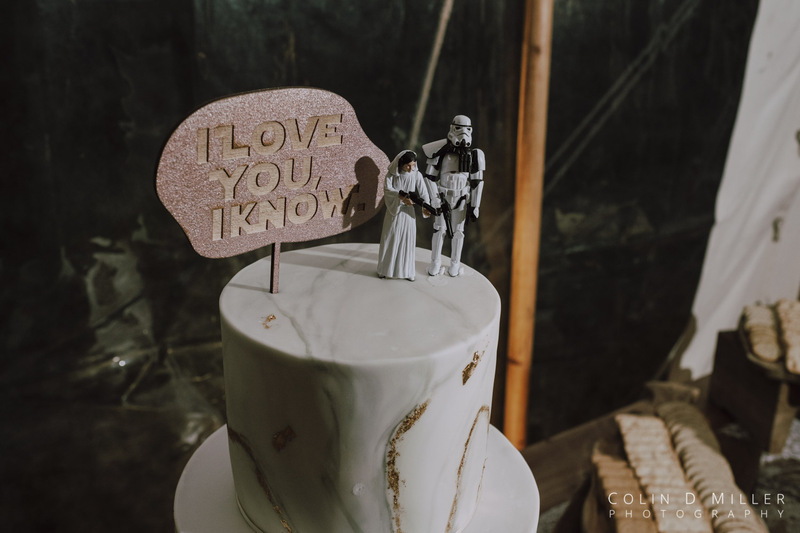 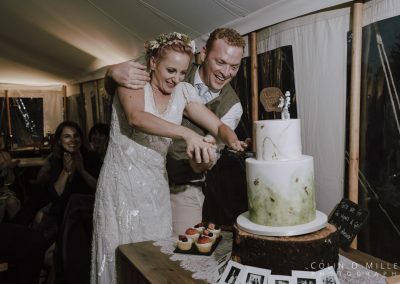 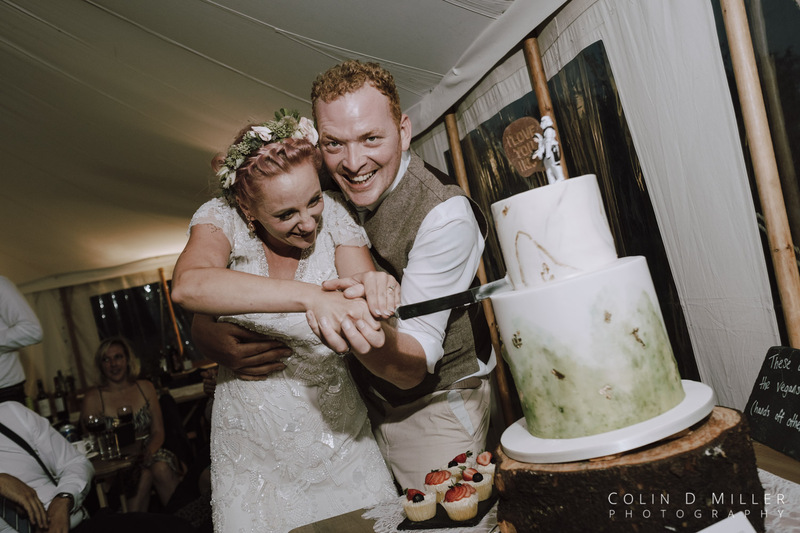 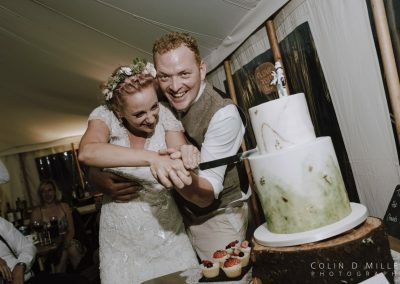 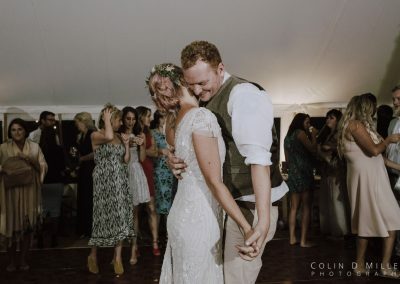 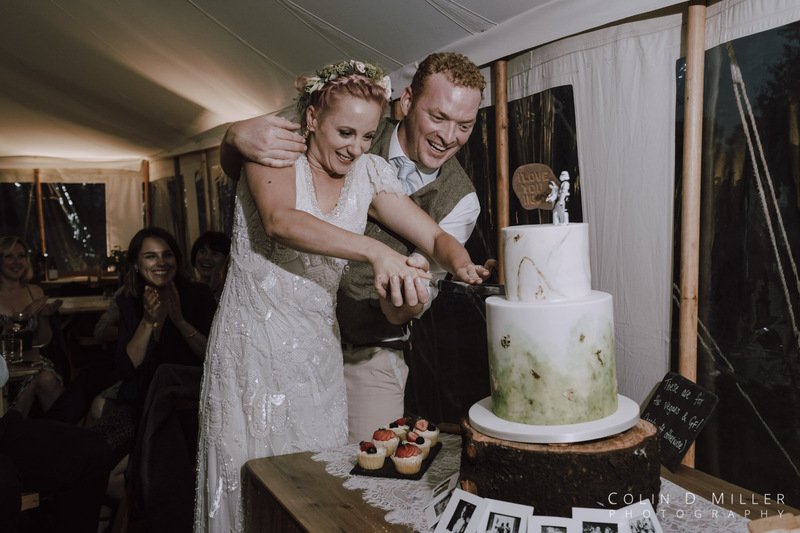 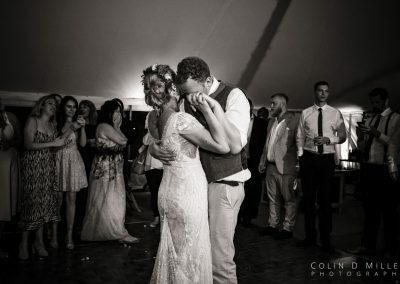 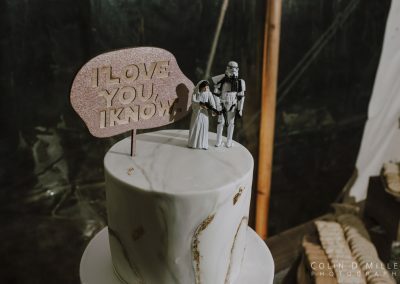 Once the food was eaten and the speeches were made, Harry and Alex cut their cake and then proceeded to have their first dance. 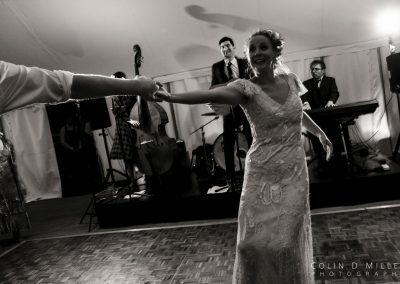 Naturally, my coverage finished with me taking snaps and filming their guests dancing to the live band. 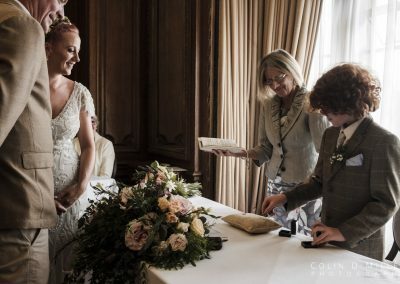 All in all, it really was a fantastic day and an absolute honour to document. 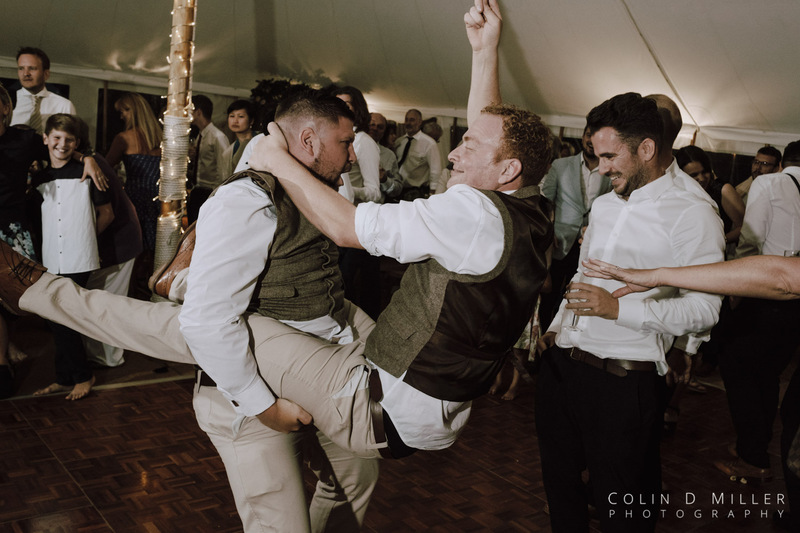 Colin is a consummate professional. 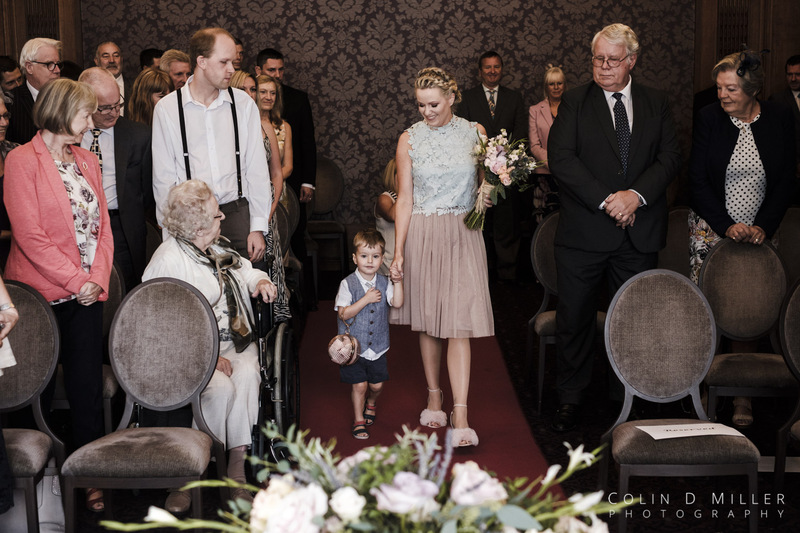 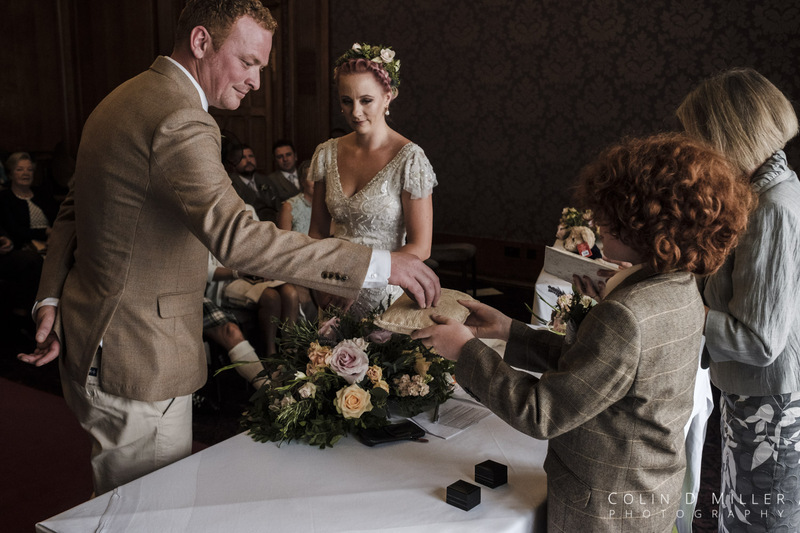 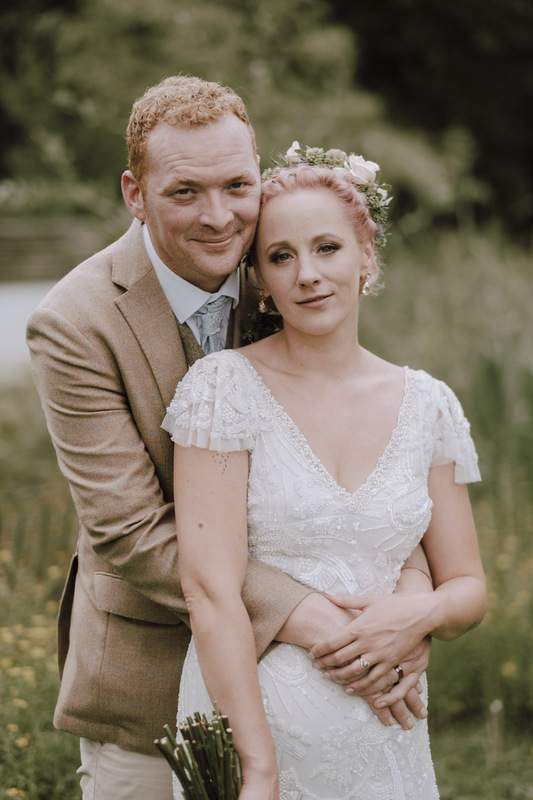 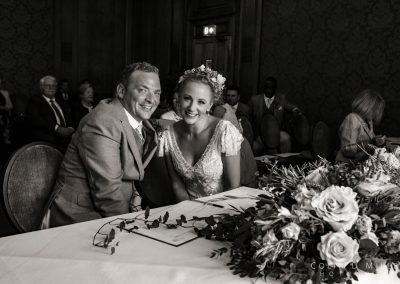 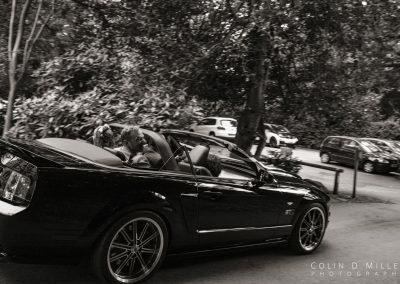 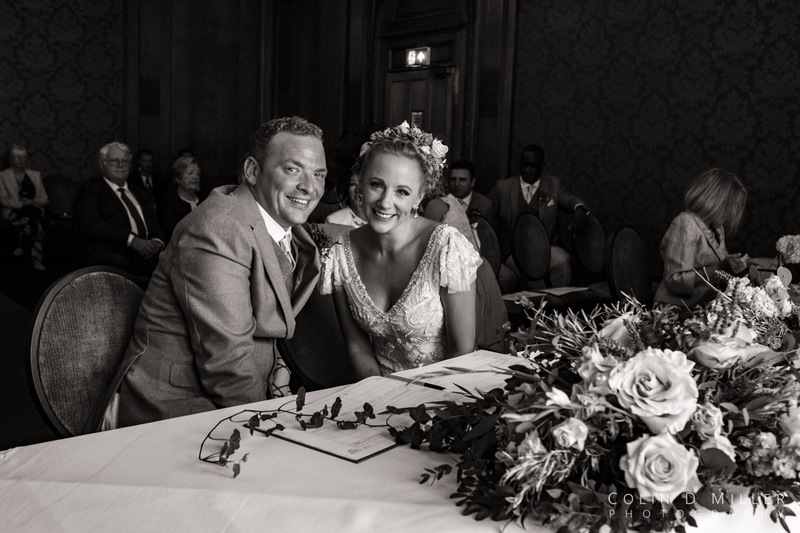 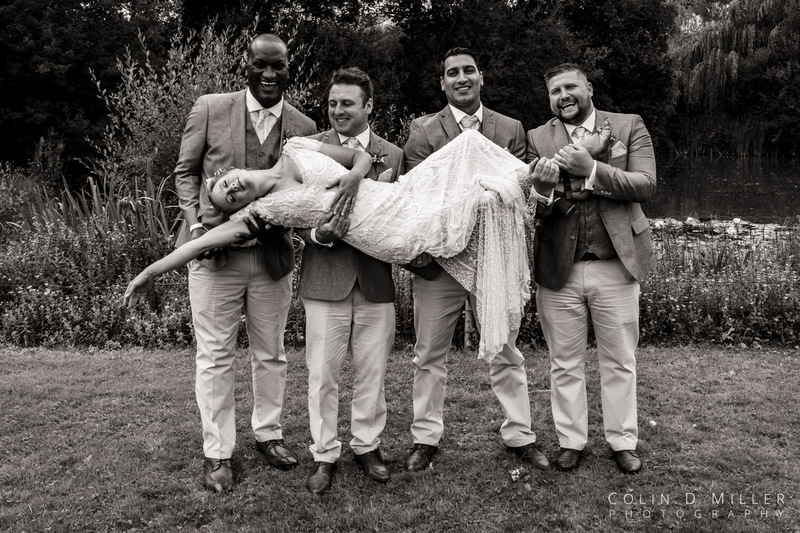 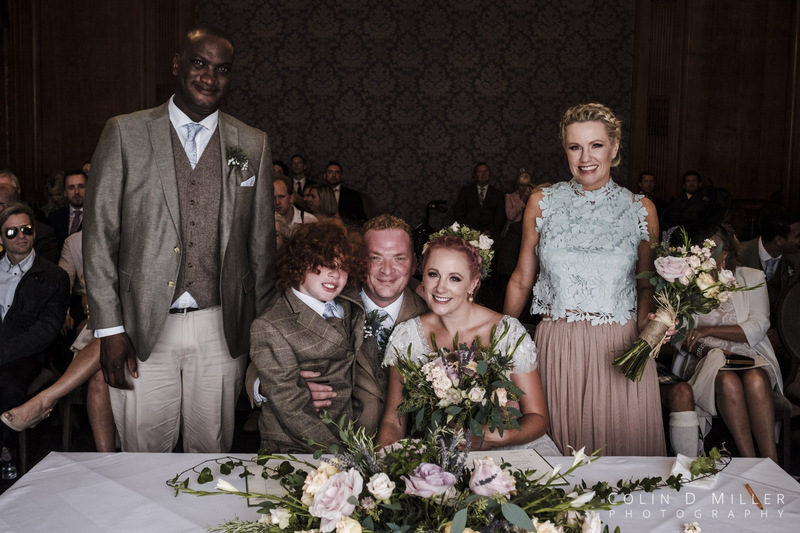 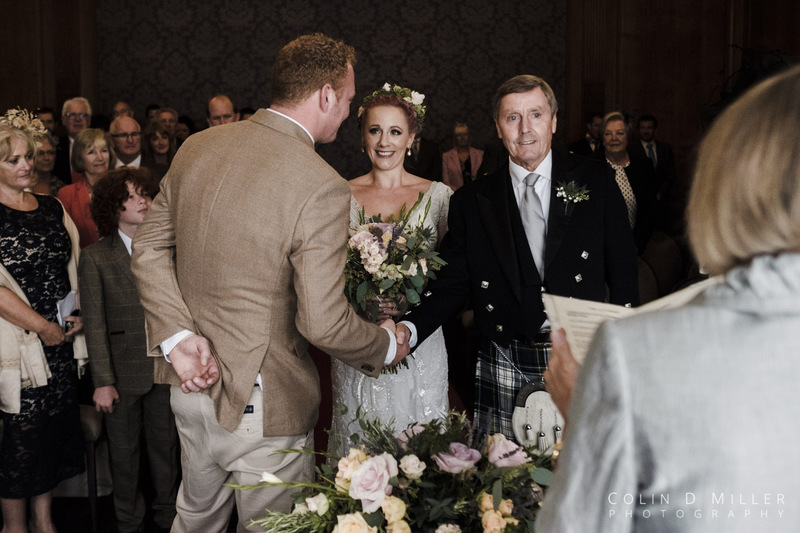 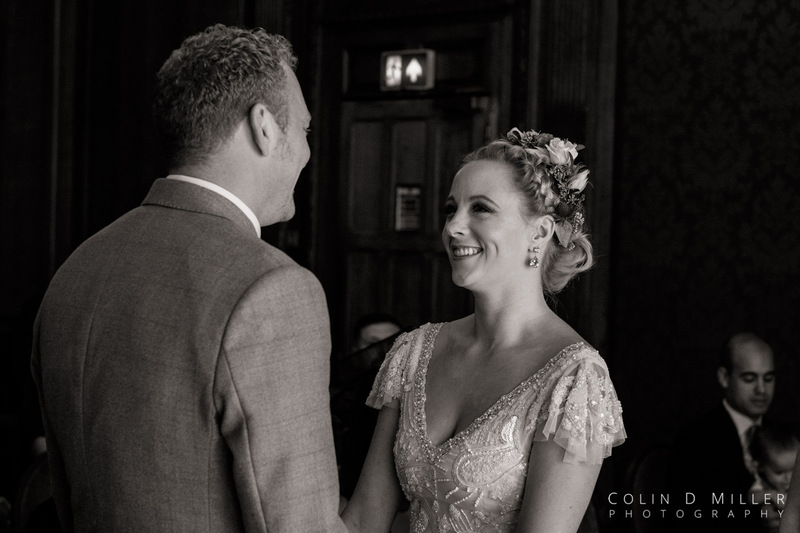 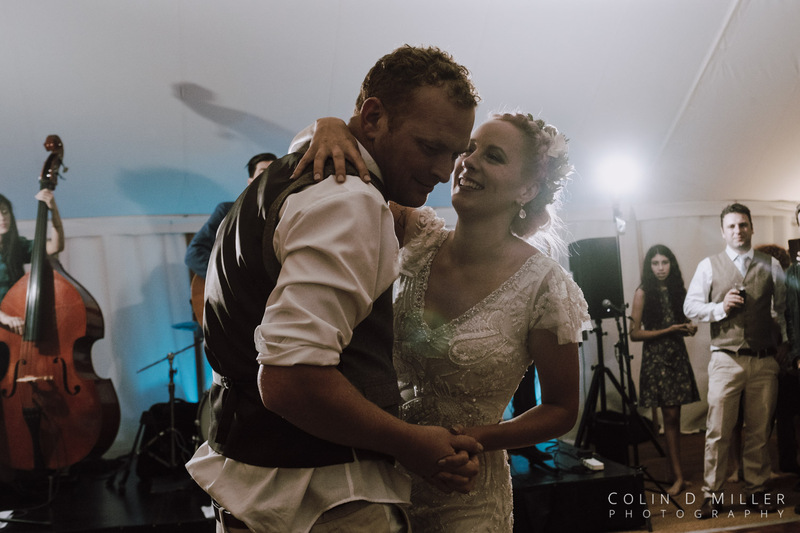 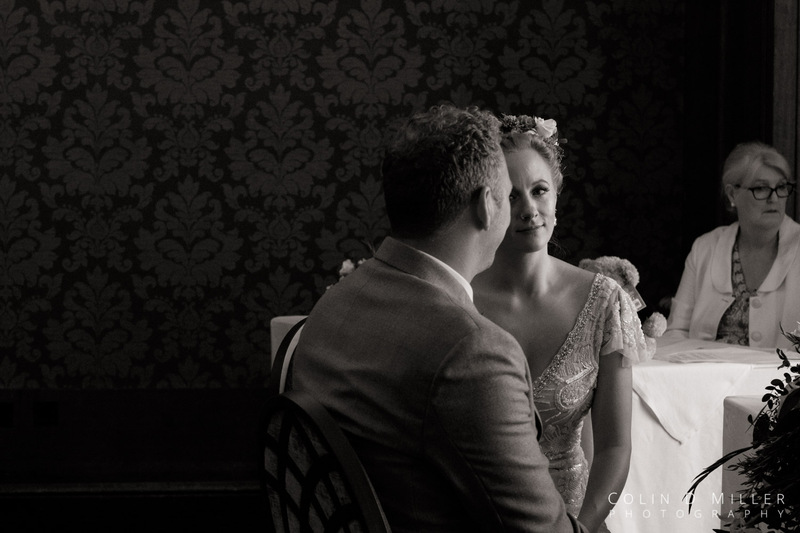 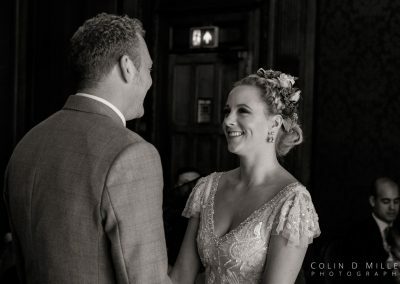 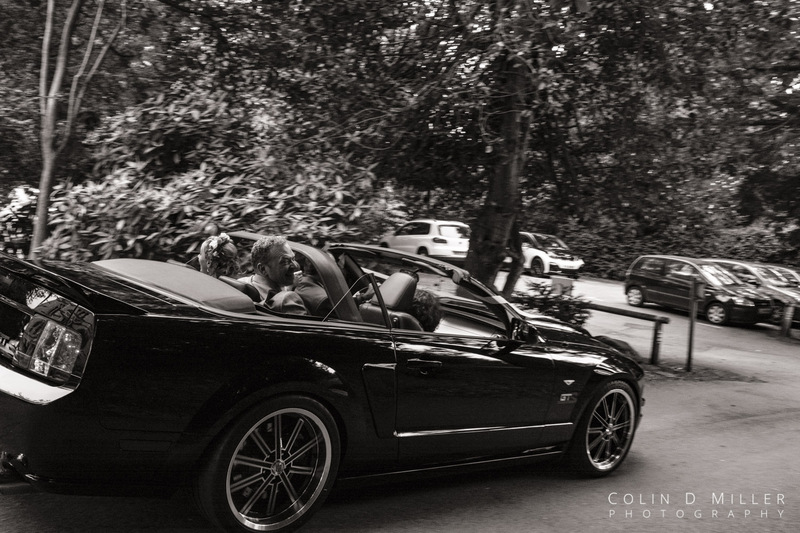 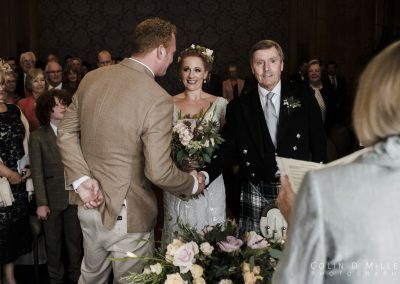 From start to finish he made our wedding photography as seamless and unobtrusive as humanly possible. 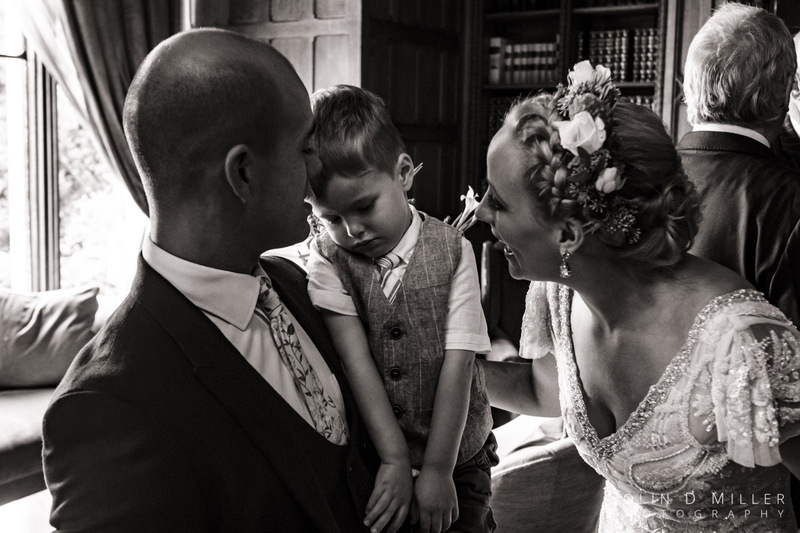 His photos are amazing, his manner is calm, collected and professional and above all else he is a truly lovely chap. 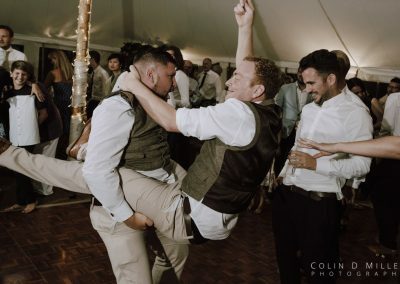 Once my new wife inevitably divorces me because I’m an idiot I will definitely use him for the next wedding. 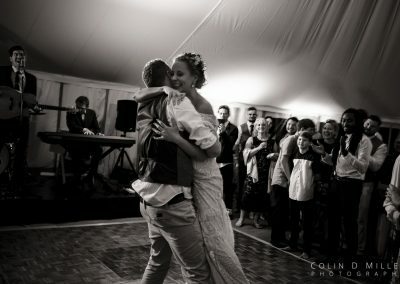 Seriously I can’t recommend him enough.